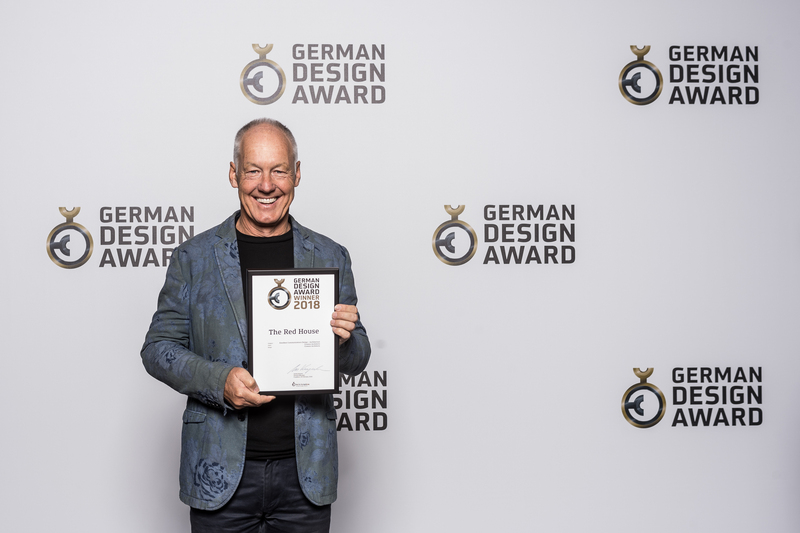 Red House wins at the 2018 German Design Awards held in Frankfurt, a proud achievement for the practice and our Red House project. 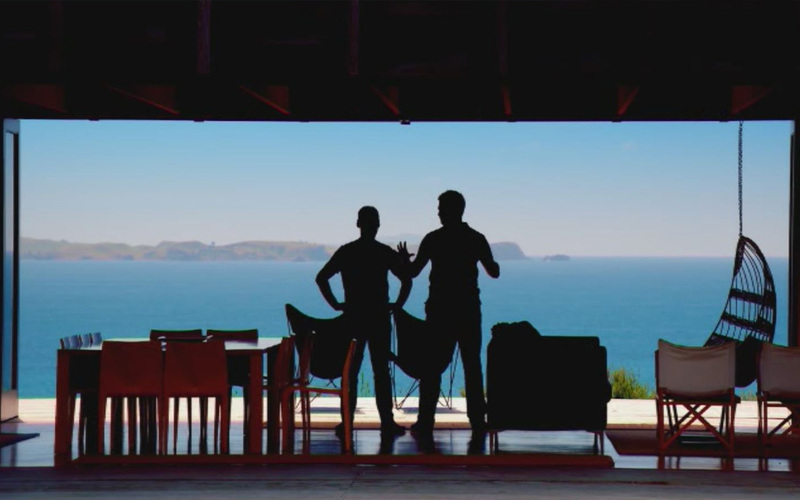 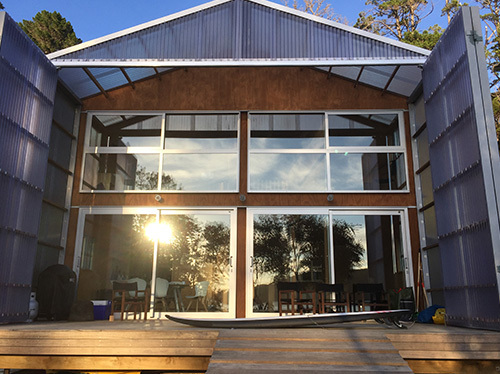 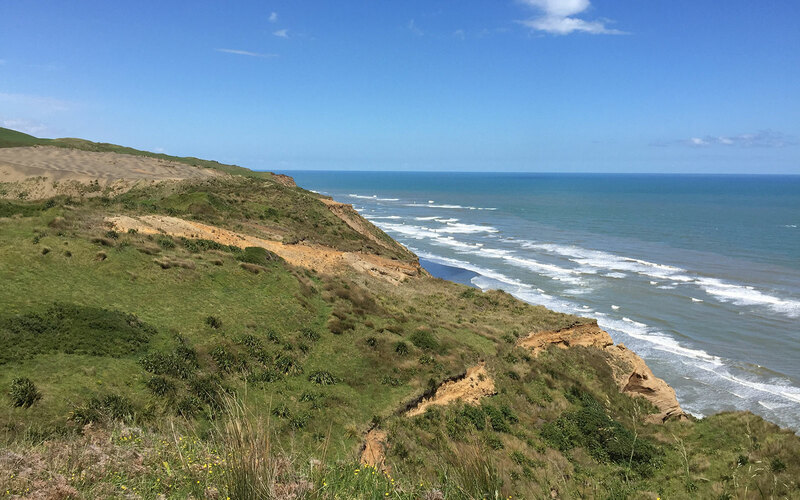 The new season of George Clarke’s Amazing Spaces aired on New Zealand screens last week – George made a visit to Ken’s Coromandel bach and had a lot of good things to say! 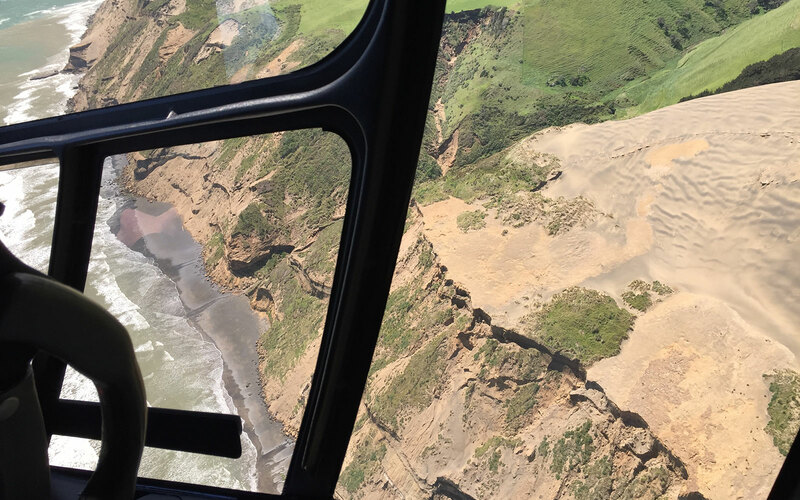 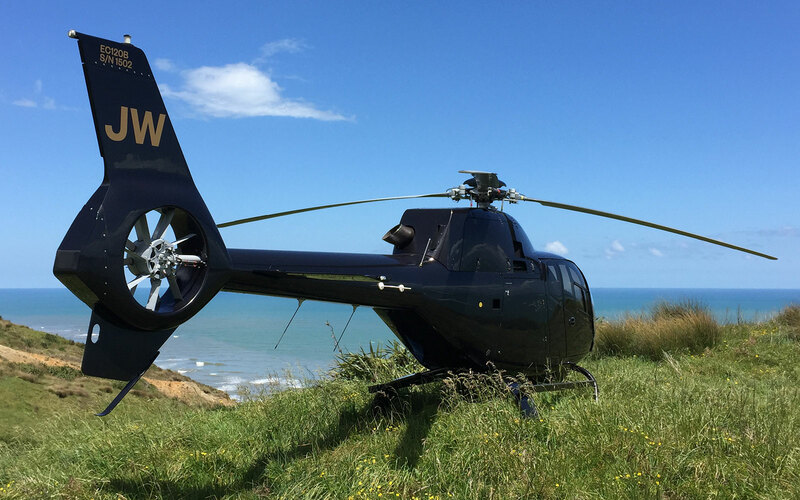 Getting a feel for this West Coast site via helicopter – Stunning location! 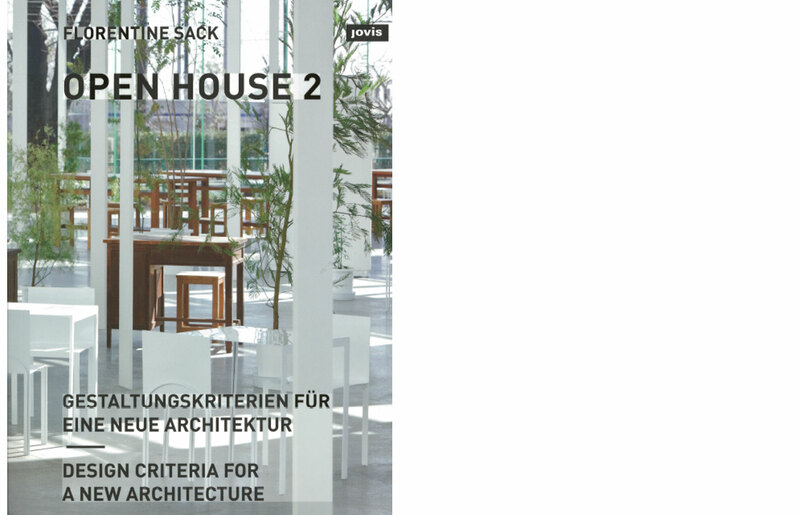 Sack curates and discusses many interesting international examples of the ‘open house’ making it a very exciting project to be included in! 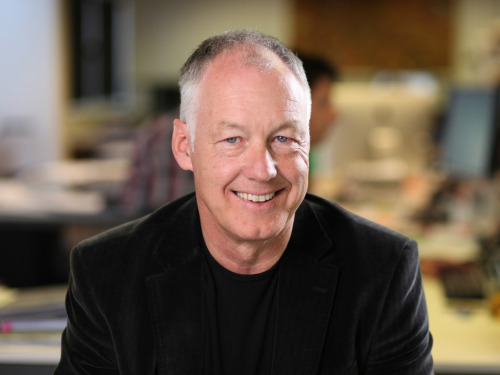 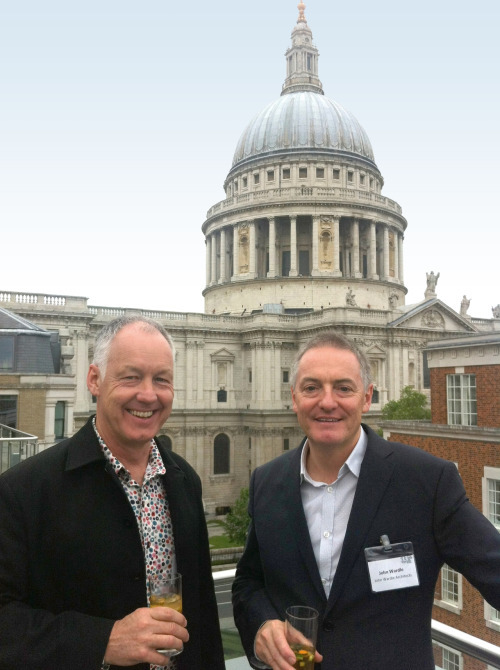 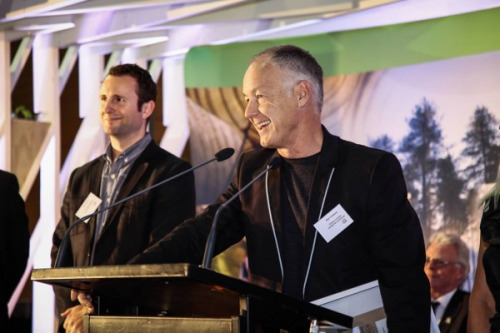 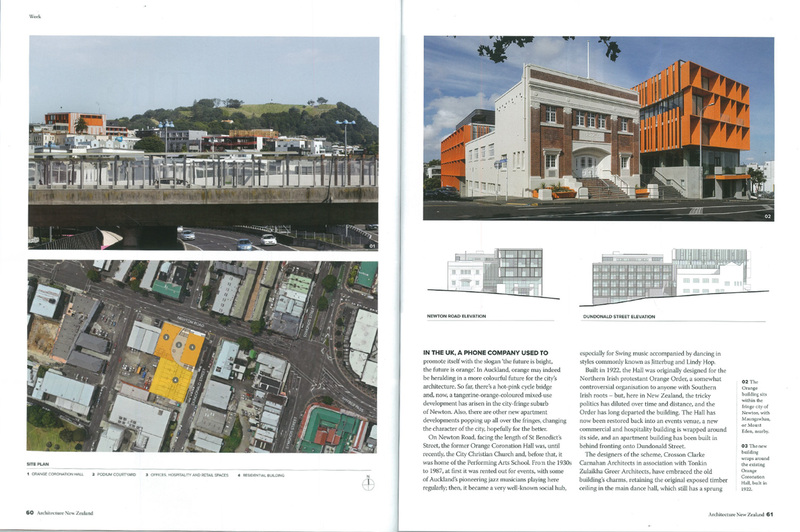 Ken was a 2016 recipient of a New Zealand Institute of Architects President’s Award at the New Zealand Architecture Awards held in Wellington last week. 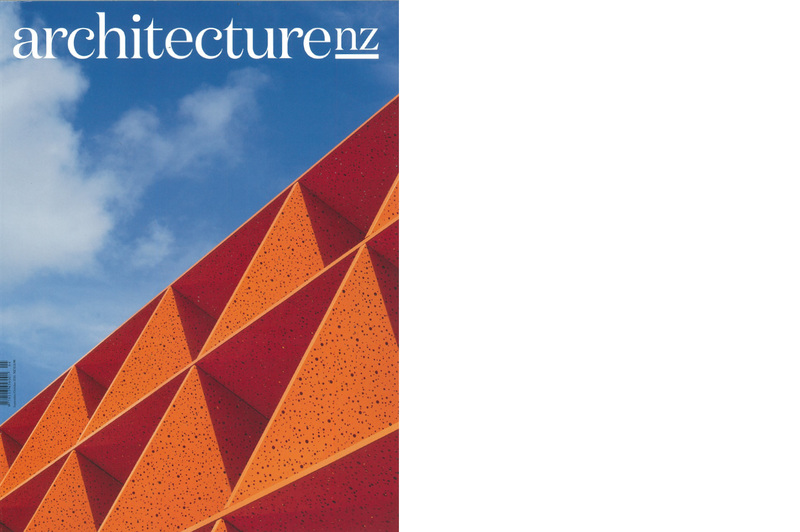 These awards are presented to those who promote the advancement of Architecture in New Zealand, the raising of practice standards and an increased awareness of architectural issues. 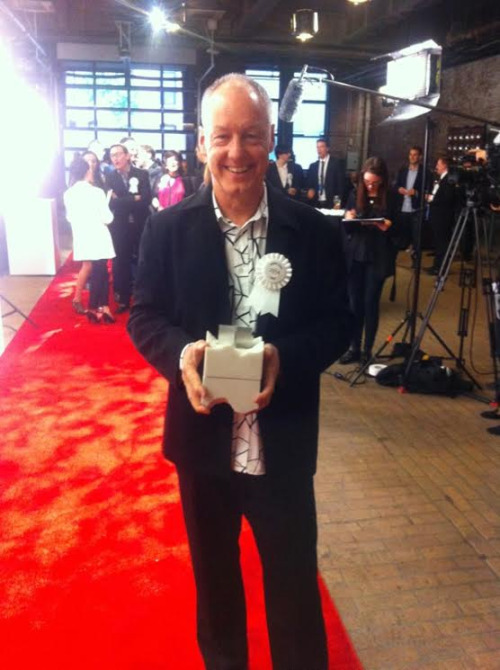 Ken received recognition for his contribution to the profession in presenting the television series The New Zealand Home. 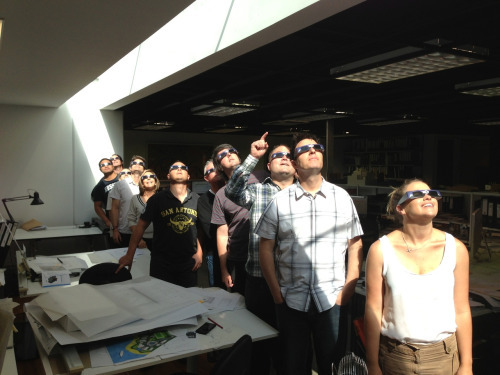 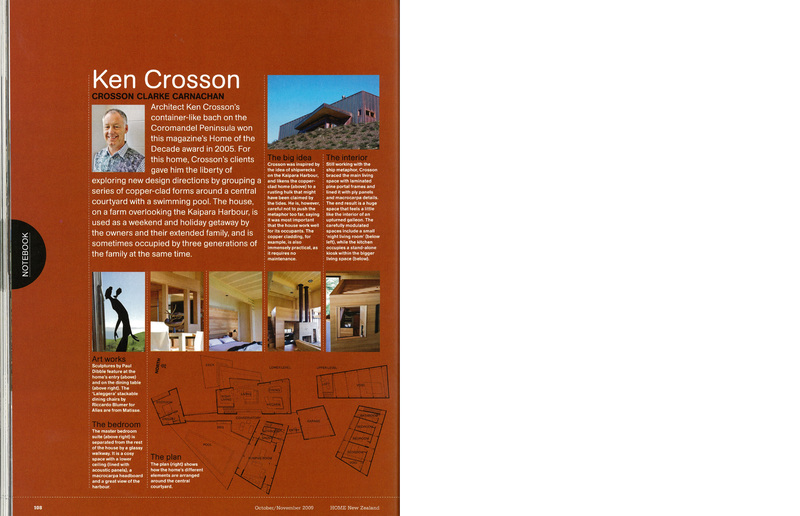 Crosson Architects are seeking two wonderful people to join our team! 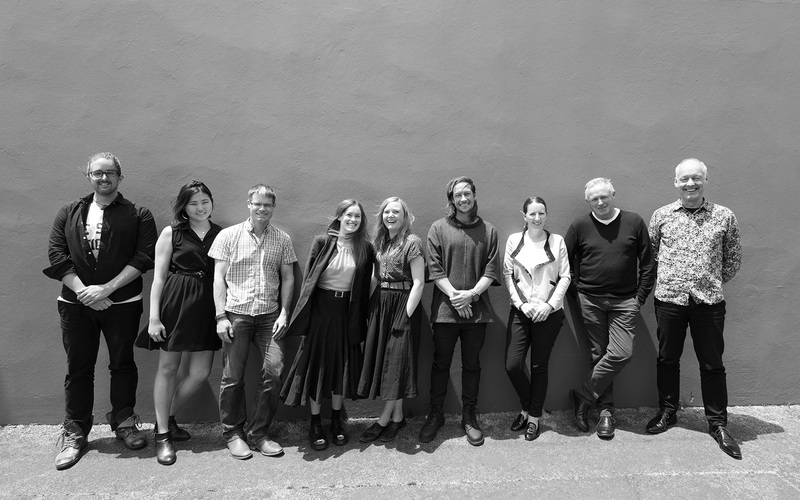 We are seeking an experienced Registered Architect with strong project management and excellent communication skills to run a wide variety of innovative and exciting projects in our supportive team environment. 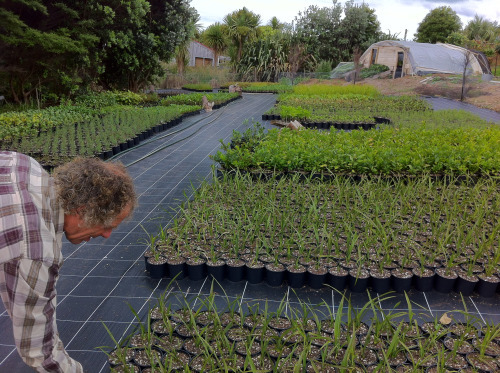 Ideally you will have a minimum of 5 years experience. 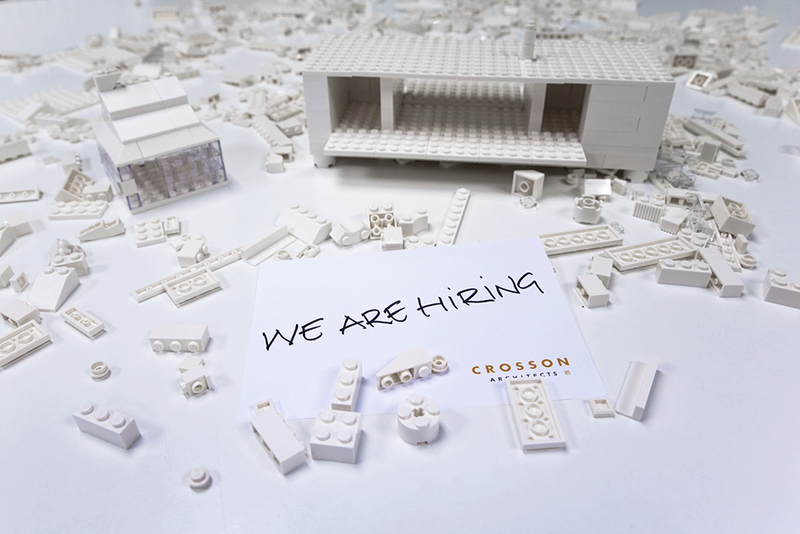 We are also looking for a Senior Architectural Technician with a minimum of 6 years experience who enjoys being involved in a project from concept through to site administration and observation. 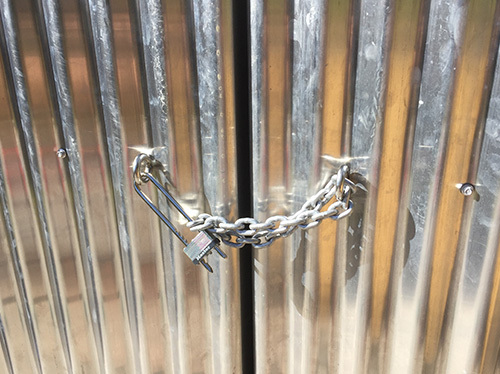 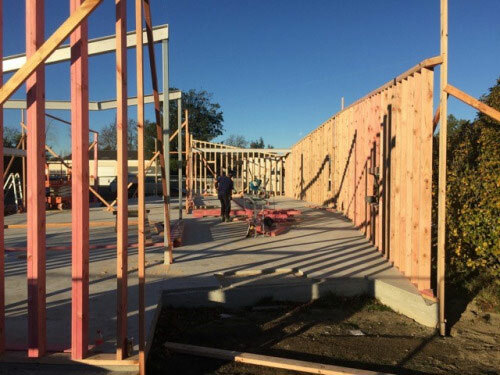 A thorough knowledge of building codes and building consent documentation is a must, along with the ability to produce highly accurate construction drawings in an efficient and timely manner. 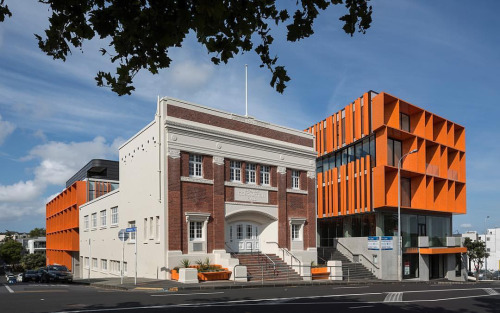 This is a great opportunity to work in a highly regarded practice with a strong culture, commitment to career development and continuing education. 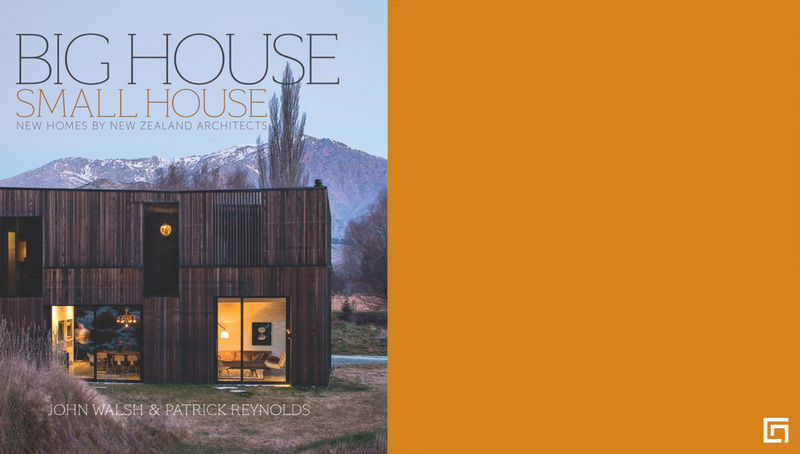 John Walsh and Patrick Reynolds released a new book last week, City House Country House, featuring Crosson Architect’s Red House and CCCA’s The Orange. 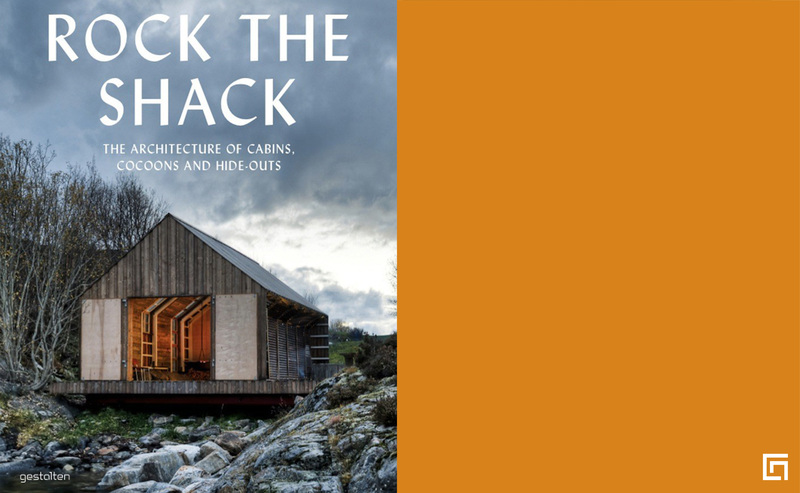 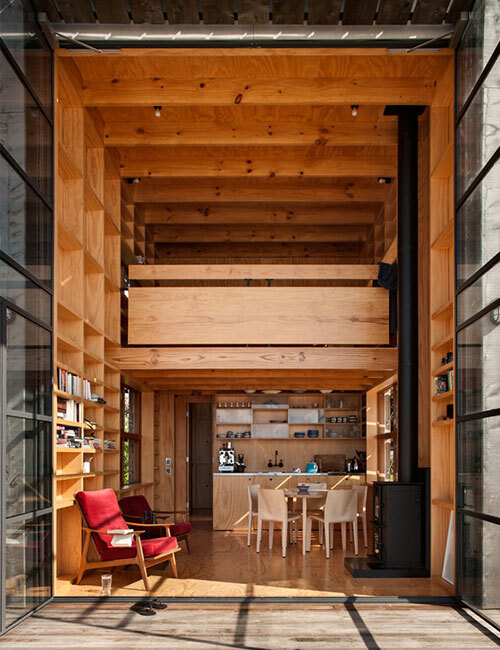 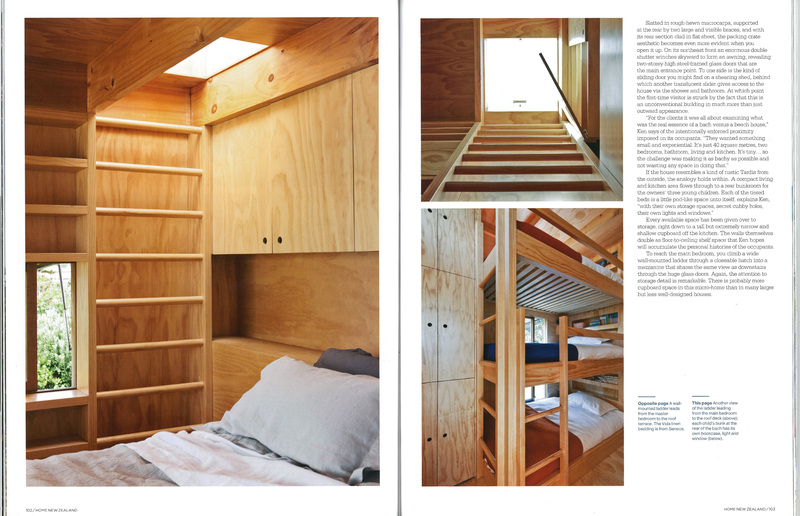 Another great book showcasing contemporary New Zealand Architecture – a beautiful visual record of our country’s innovative approaches to design in the home. 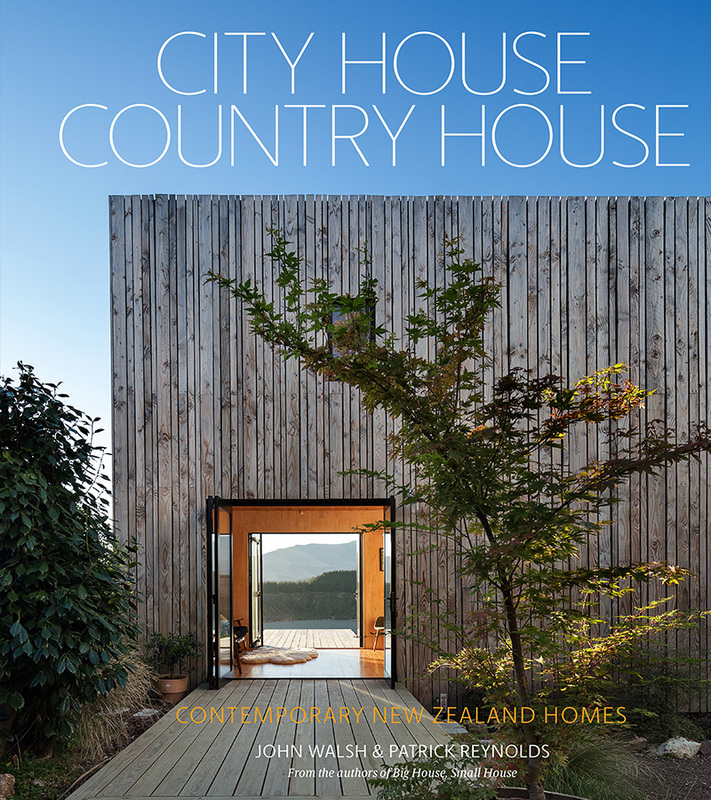 “City House, Country House explores 40 of New Zealand’s most outstanding residential projects in locations ranging from intensely urban to spectacularly remote. 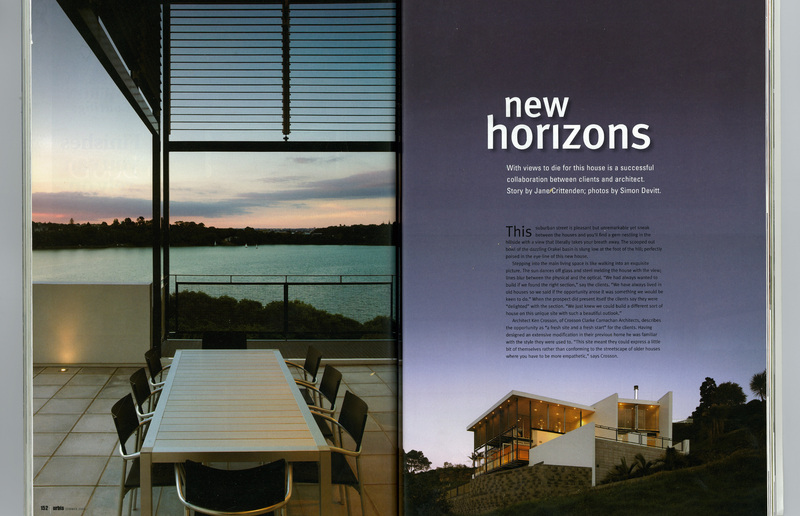 New family homes, suburban alterations, city apartments, coastal beach houses and rural retreats are all included in this impressive collection of recently completed projects, reflecting a growing diversity of living styles and architectural responses across the country. 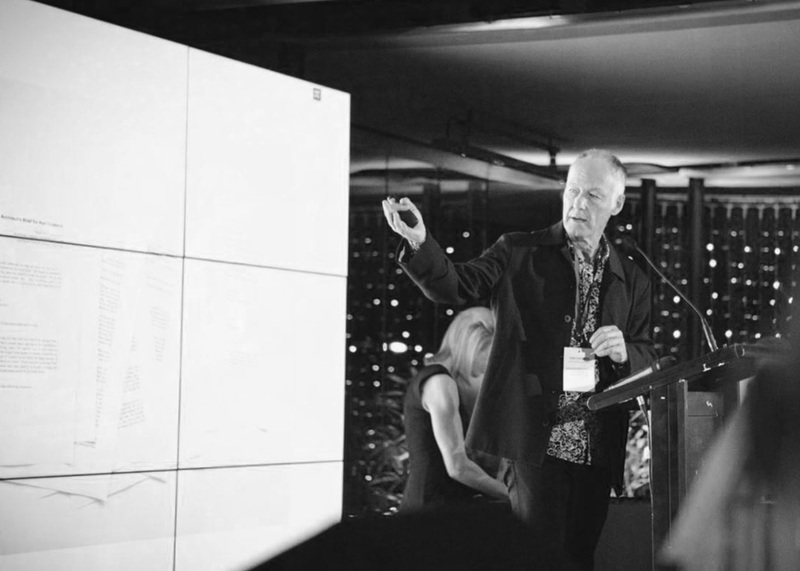 Earlier this month Ken was asked to speak at Archipro’s Meet, Greet & Eat event held at Ostro, where a room full of homeowners mingled and talked architectural ideas with the industry’s leading design professionals. 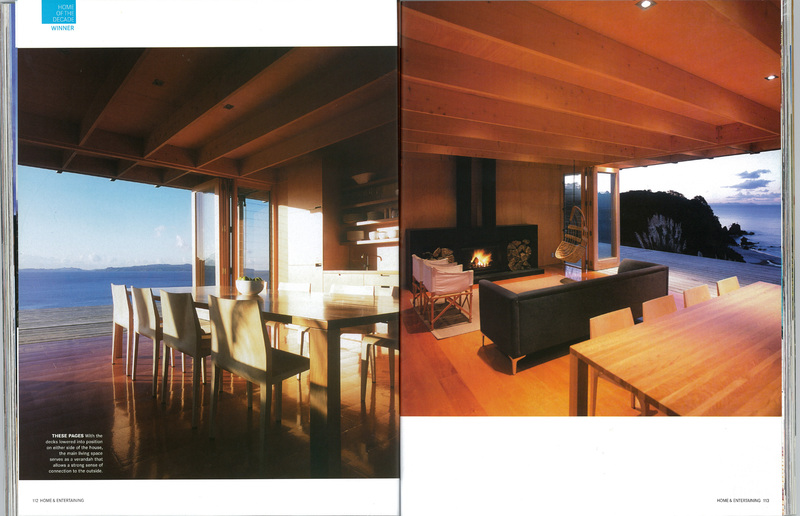 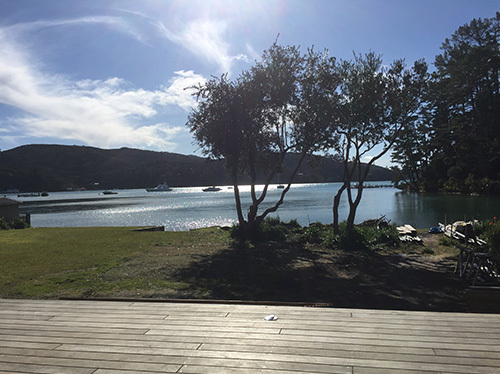 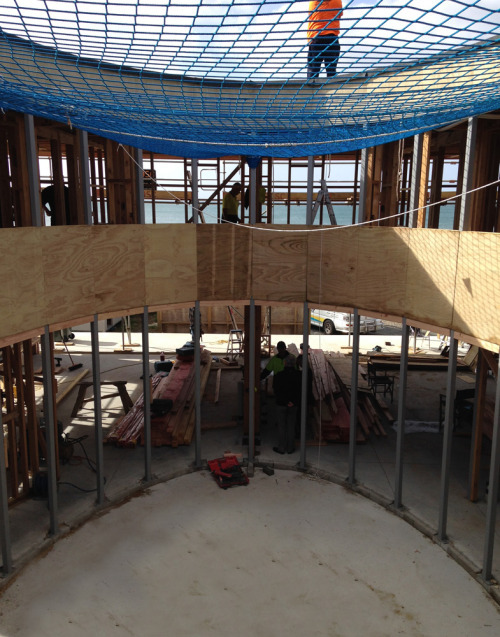 A few recent shots of the Kawau Island project – opened right up to enjoy the beautiful weather! 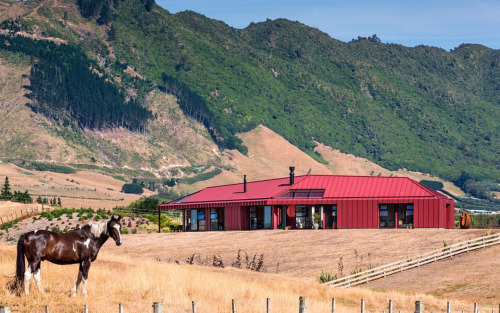 Friday’s episode of The New Zealand Home was one not to be missed! 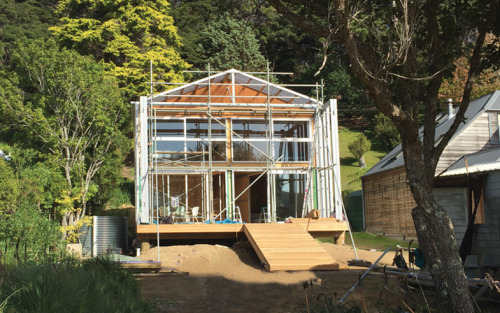 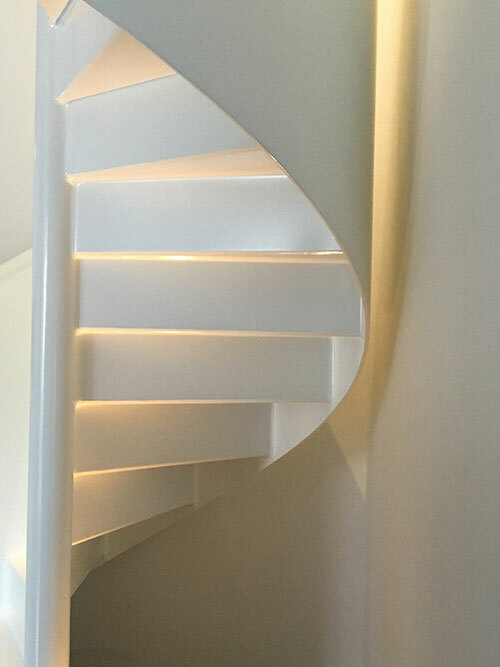 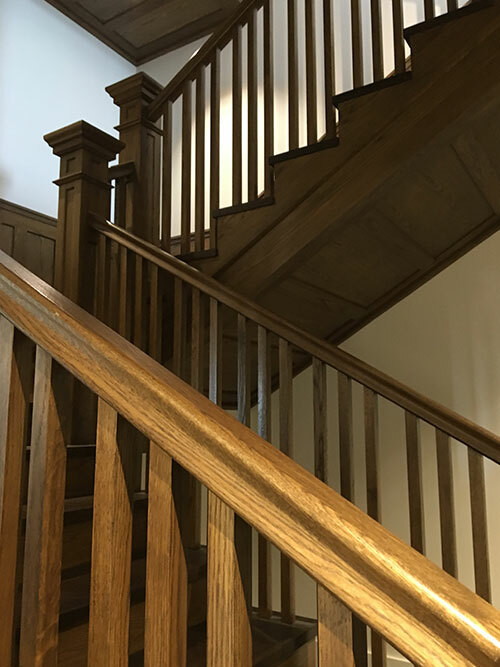 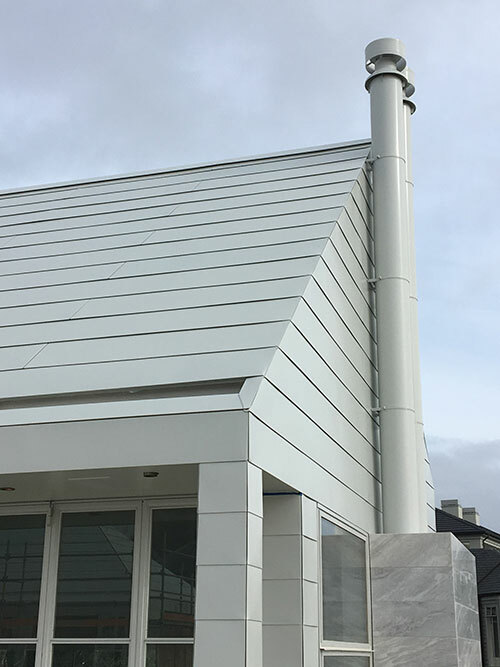 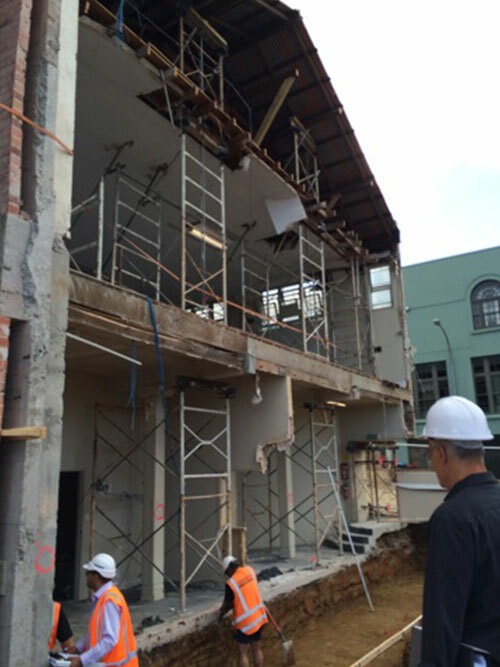 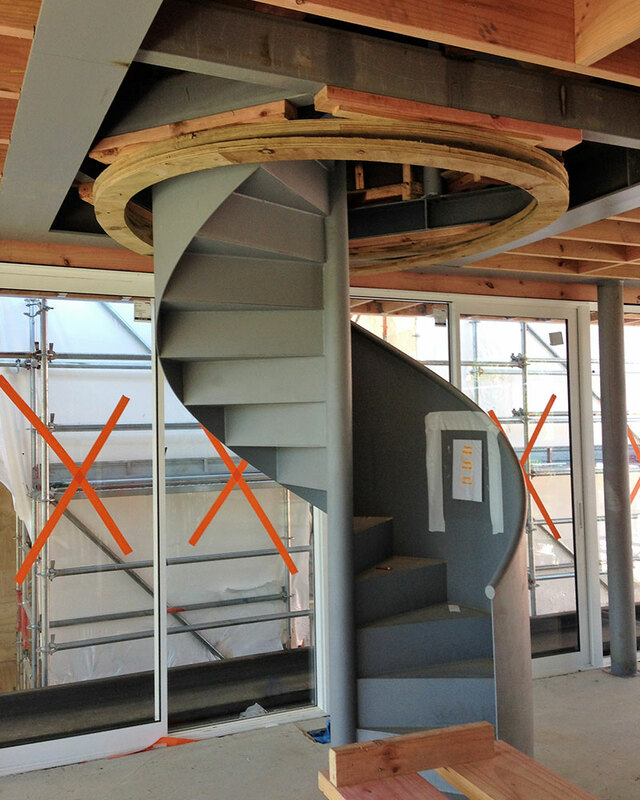 A snippet from last week’s site visit… This alteration and addition to a beautiful Remuera Arts and Crafts gem is almost complete! 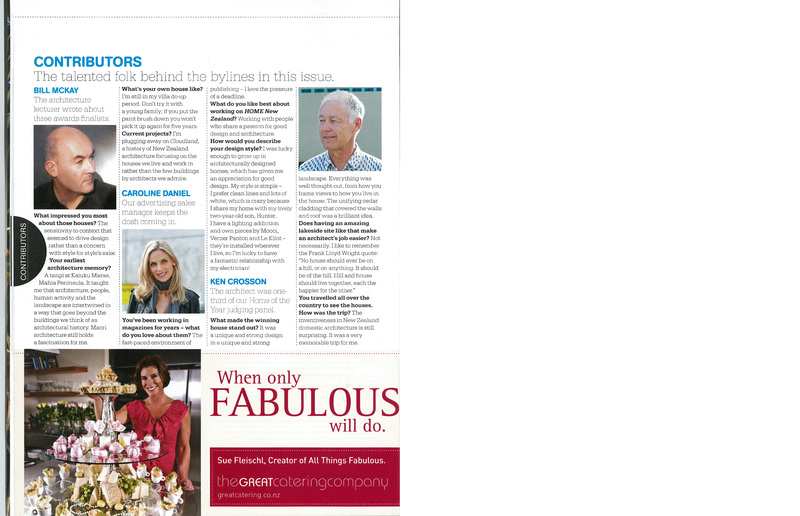 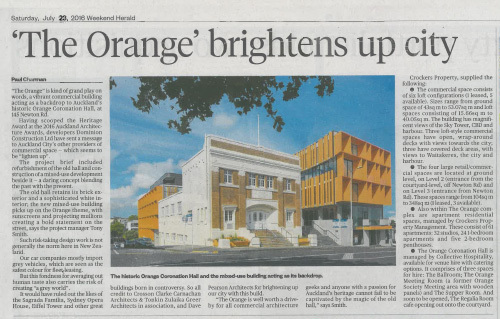 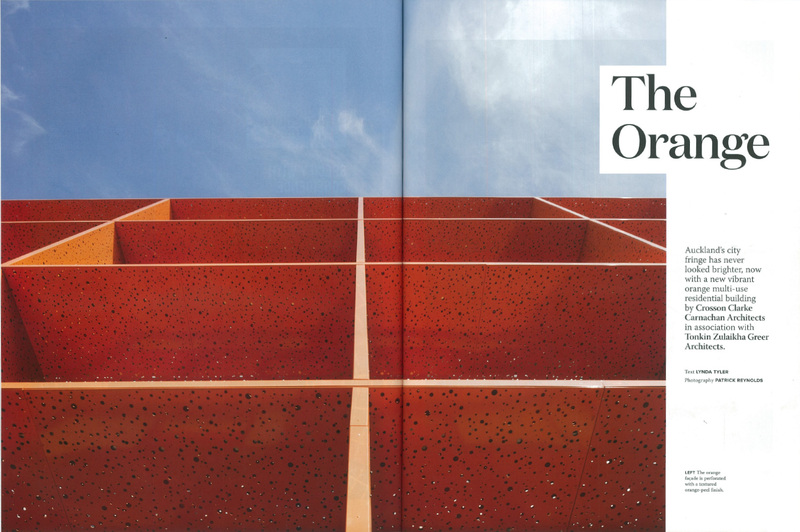 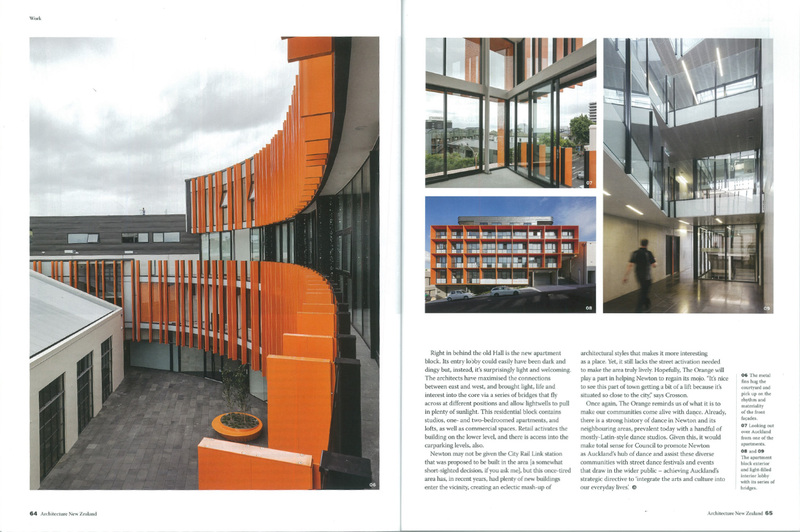 Check out the latest write up on CCCA’s The Orange in the New Zealand Herald! 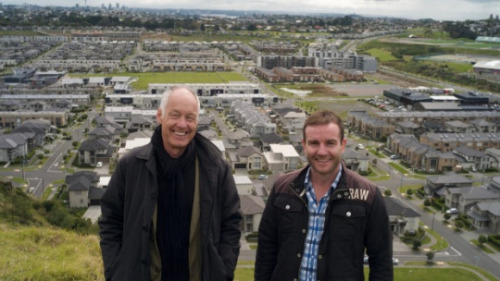 Ken was on air with Jesse Mulligan last week talking about his new show ‘The New Zealand Home’ and our local architectural history. 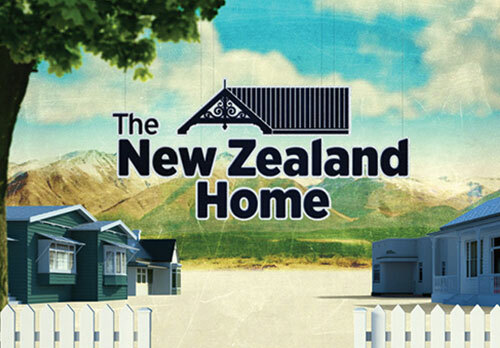 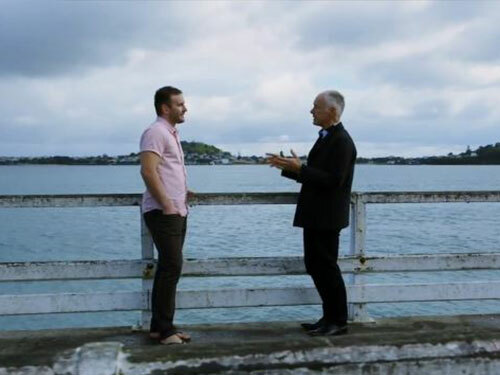 The first episode of the New Zealand Home hosted by Ken Crosson and Goran Paladin aired on Friday night – check out Stuff.co.nz’s response! 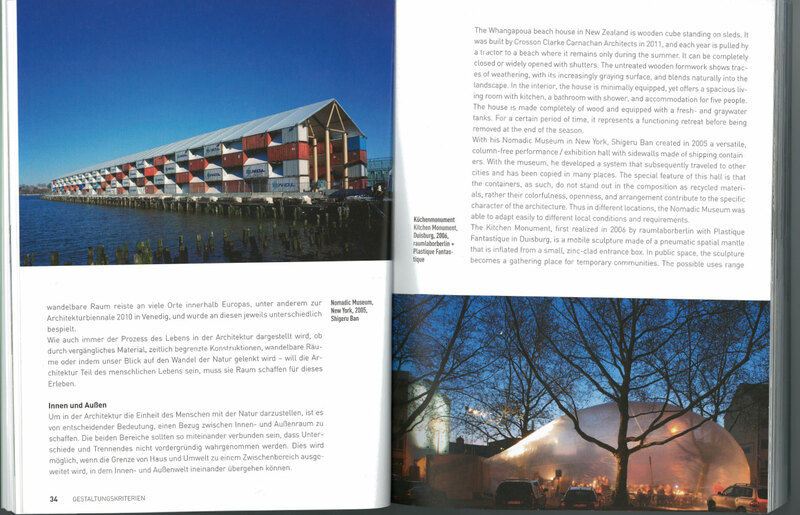 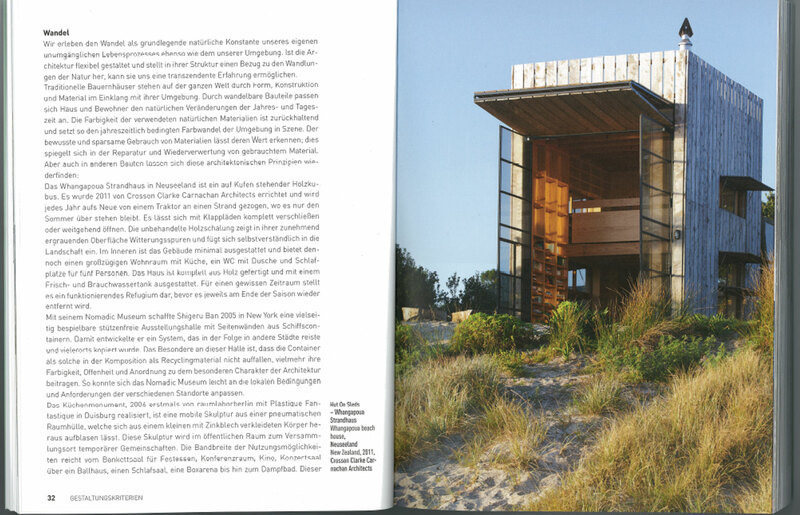 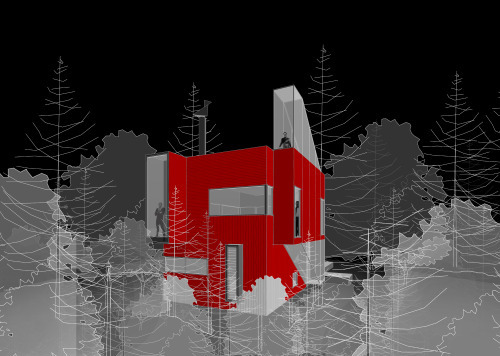 Red House is a finalist in this year’s World Architecture Festival to be held in Berlin later this year! 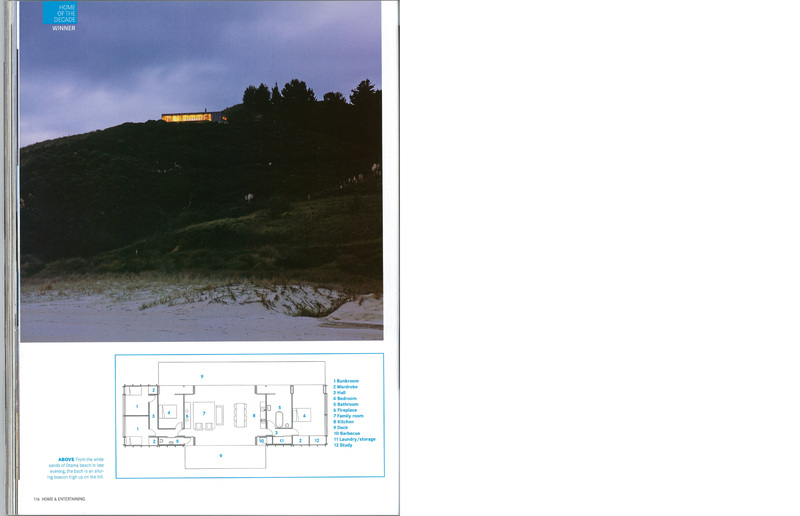 A project underway in Orewa. 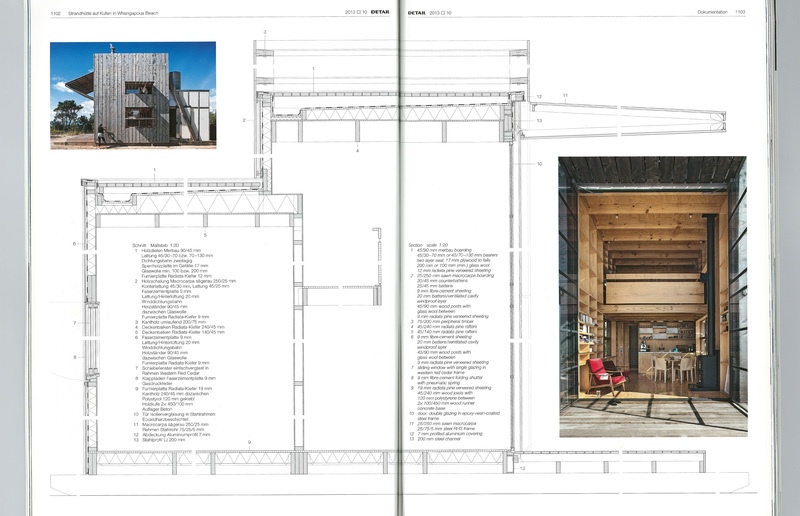 We have won an Oscar for Architecture!!! 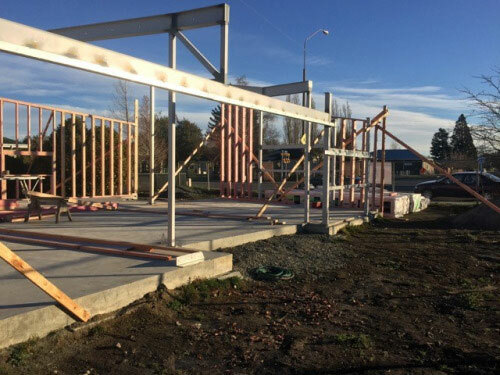 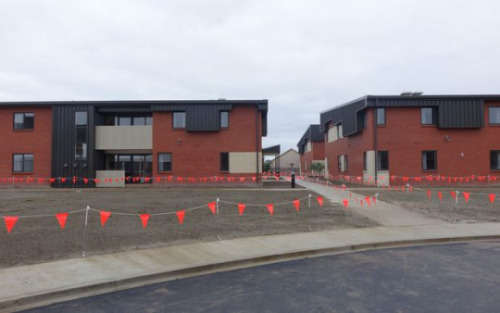 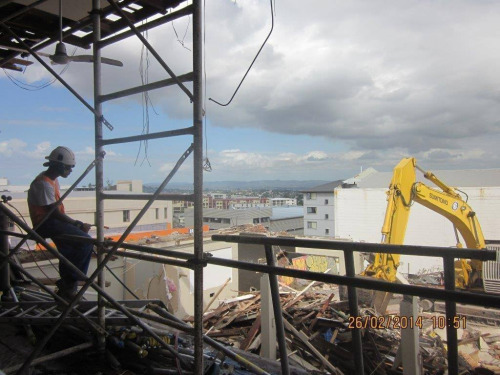 The new year kicks off with a bang for the team at Crosson Clarke Carnachan as work commences on The Orange development on Newton Road in Auckland. 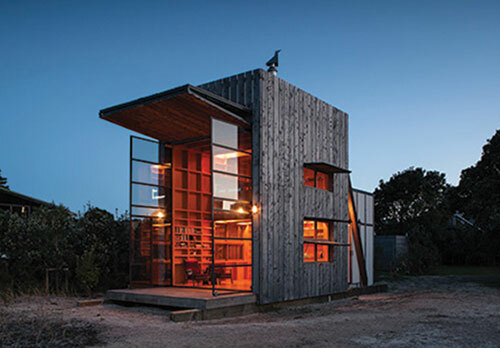 Another accolade for our Hut on Sleds… It has just been shortlisted for the annual Architizer Awards in New York and is now featured on their homepage. 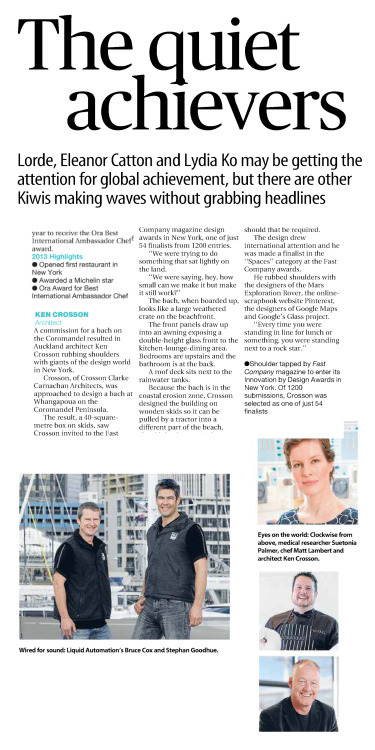 They are getting into the kiwi lingo by calling it bach!! 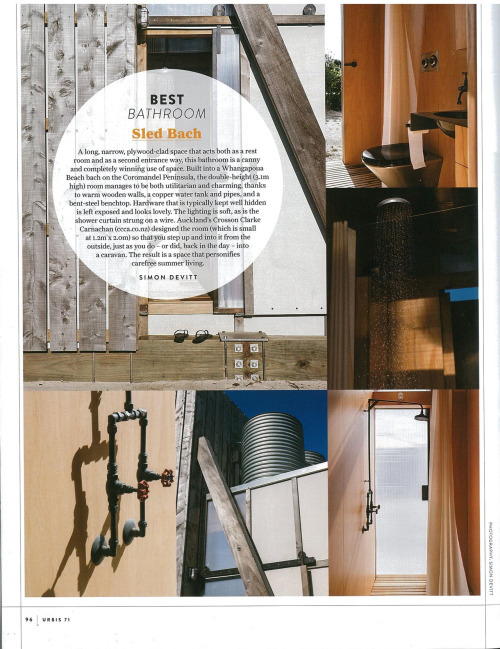 Ken has just returned from the Fast Company Innovation Awards in New York where our Hut on Sleds received another international award. 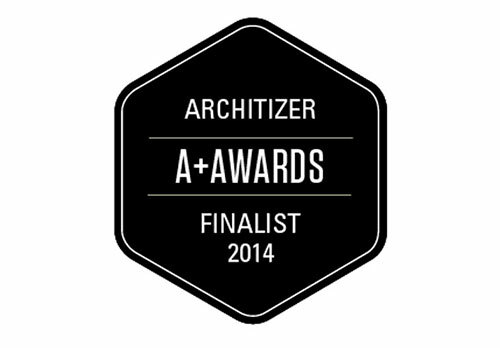 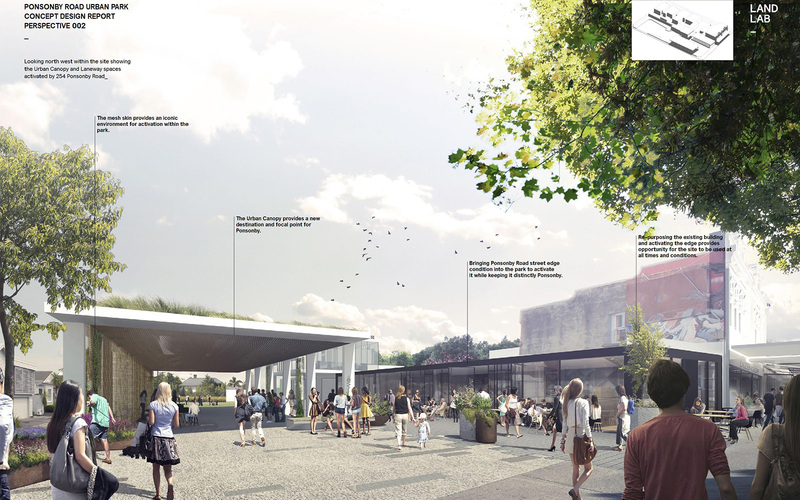 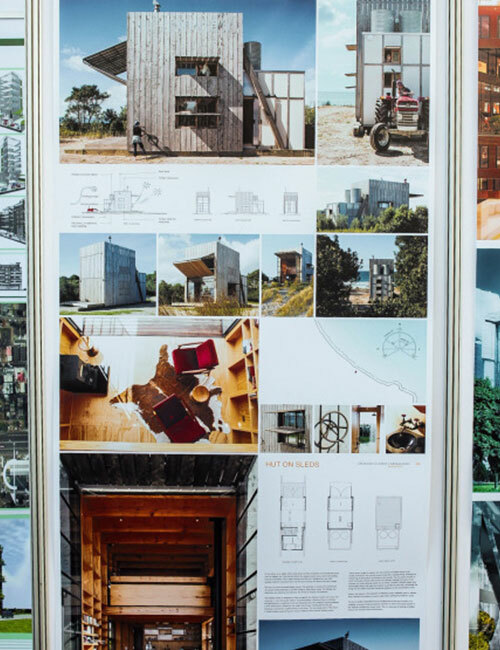 1200 entries from around the world were condensed to 60 innovative projects. 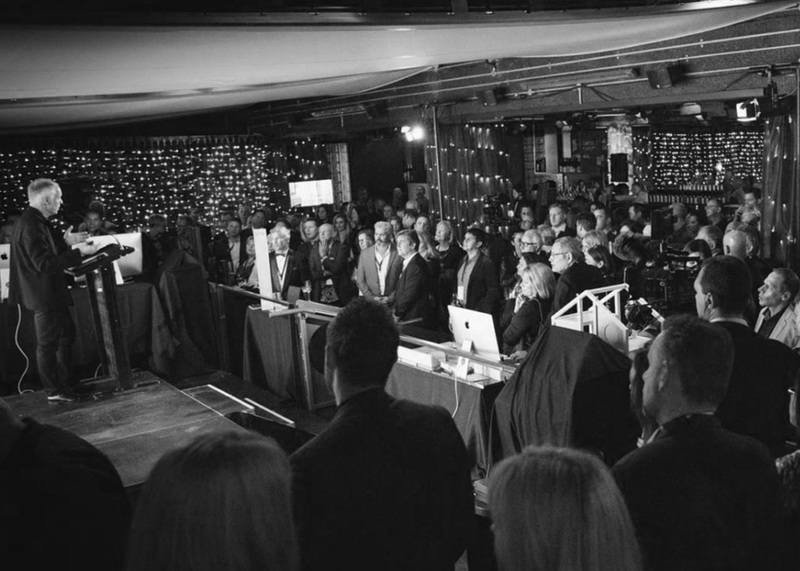 Some of the finalists included extraordinary innovation and ranged from the NASA designed Mars Rover Vehicle (cost $2.5 billion US) to the smallest of apps. 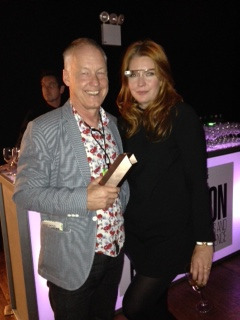 Google were well represented with an Award for their maps application. 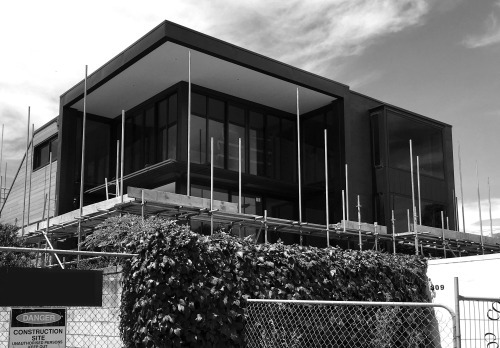 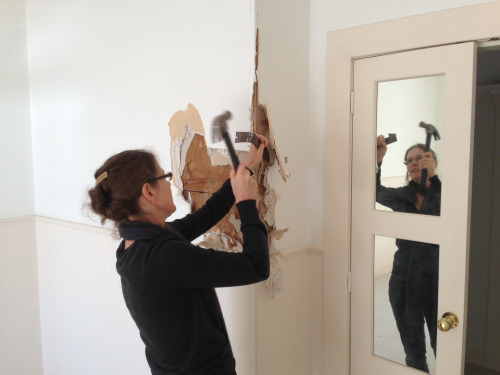 We cut our teeth with alterations and post GFC – we’re finding more and more of these projects happening as our clients choose to stay put. 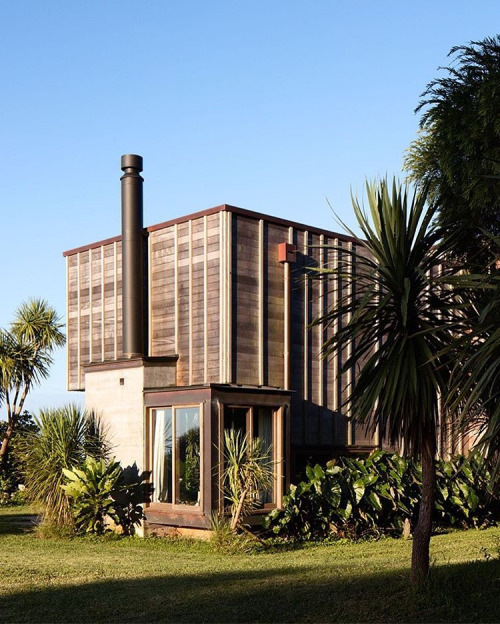 We’re particularly excited about this majestic Arts and Crafts house in Remuera – a real challenge but the owners are willing to give it the respect it deserves. 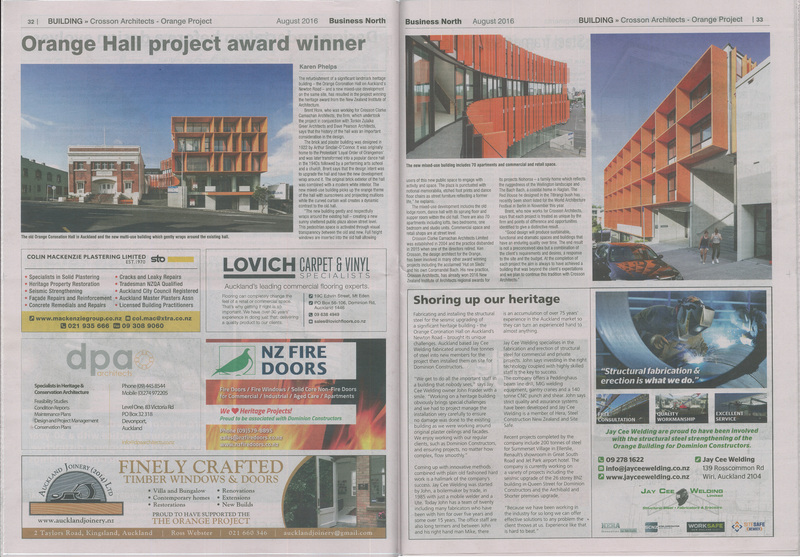 Seems like the NZ Herald had the right priority with their coverage of the recent NZIA National Awards! 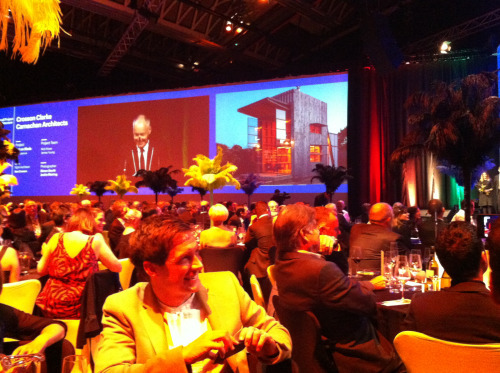 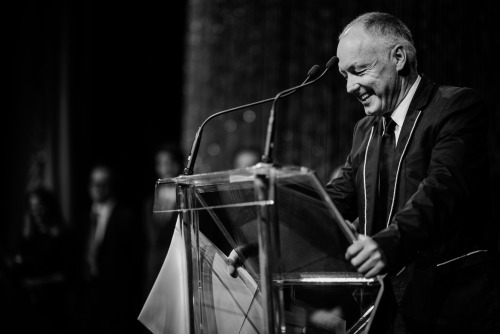 A snap of Ken doing his acceptance speech at the NZIA Awards 2013. 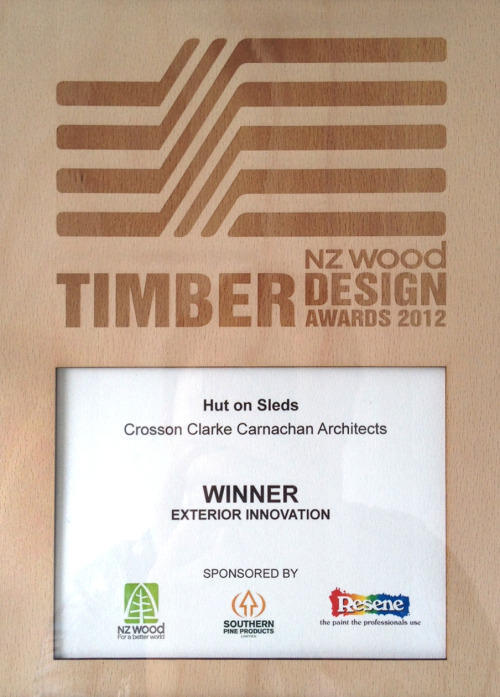 We received a NZ National Award. 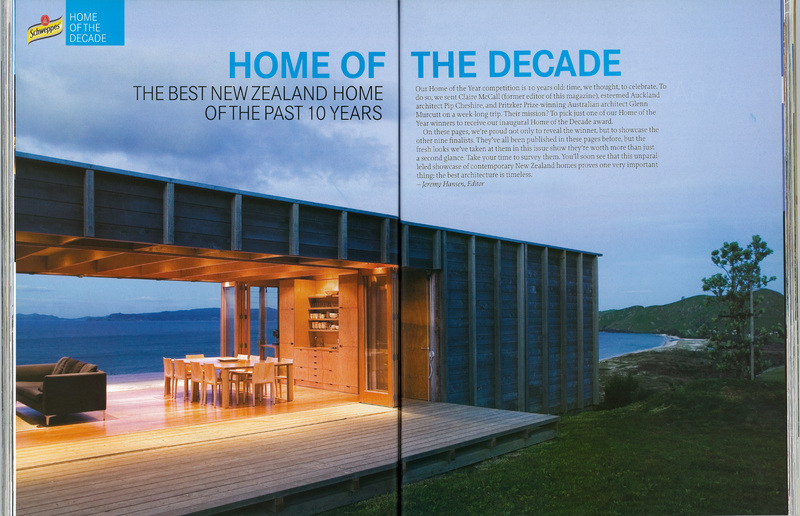 This is a proud moment as it was our third NZ National Award in the last two years! 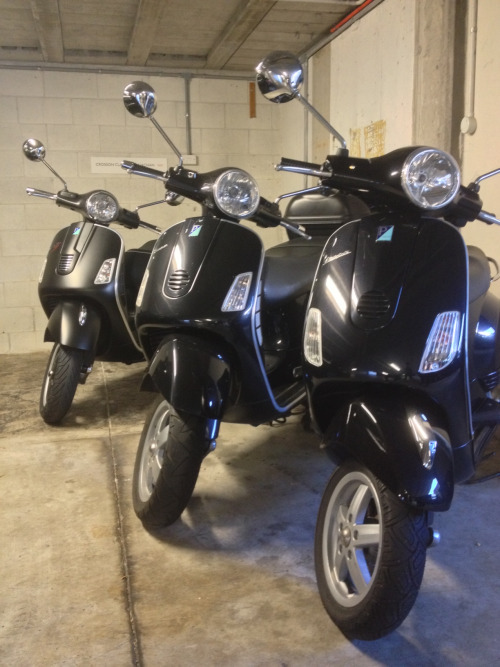 The CA Green Initiative – more and more of our team are switching from fuel hungry cars to green and efficient Vespas. 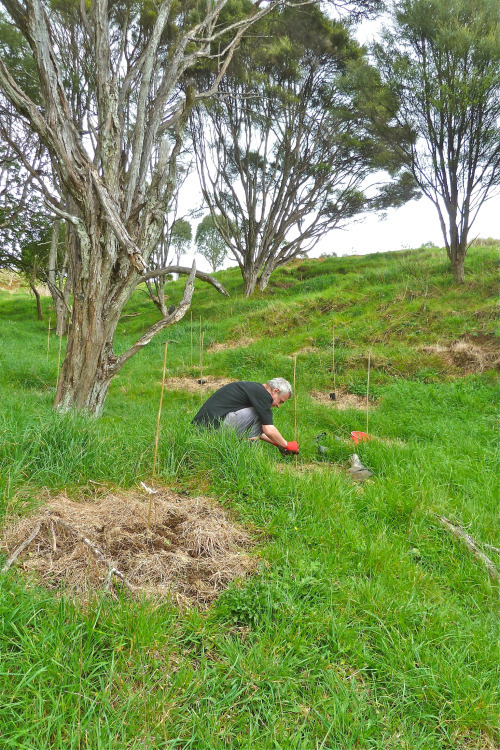 Just doing our bit for the environment. 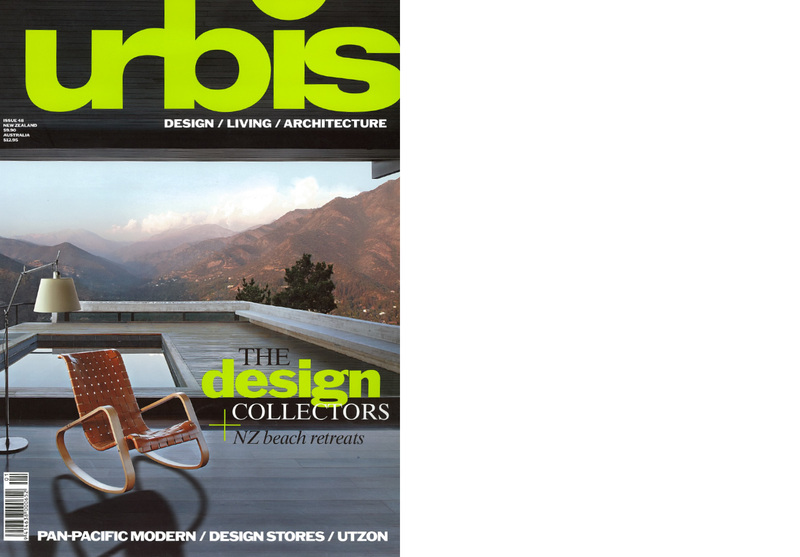 Plus – Vespas are cool! 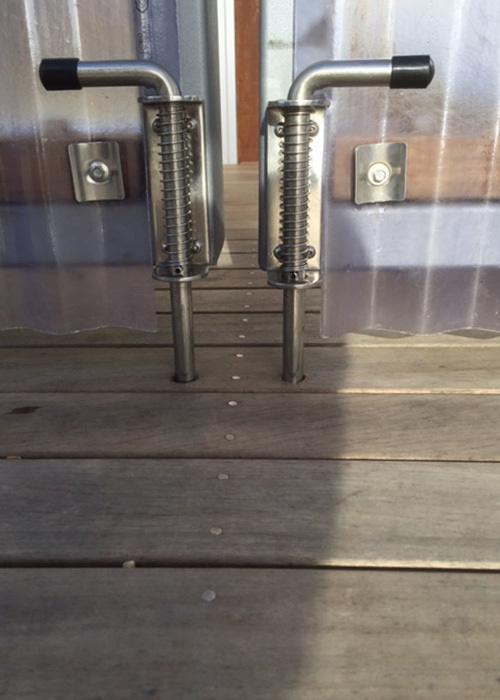 On Monday, the team raced on the yacht Wired in the 2013 GIB Architects Regatta. 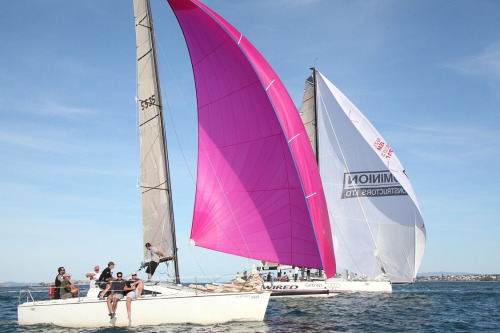 We had a fabulous day and won the Tasman Cup in the spinnaker division! 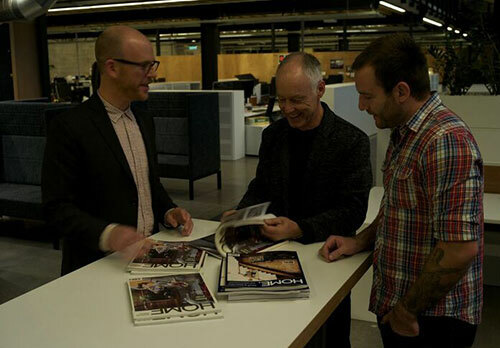 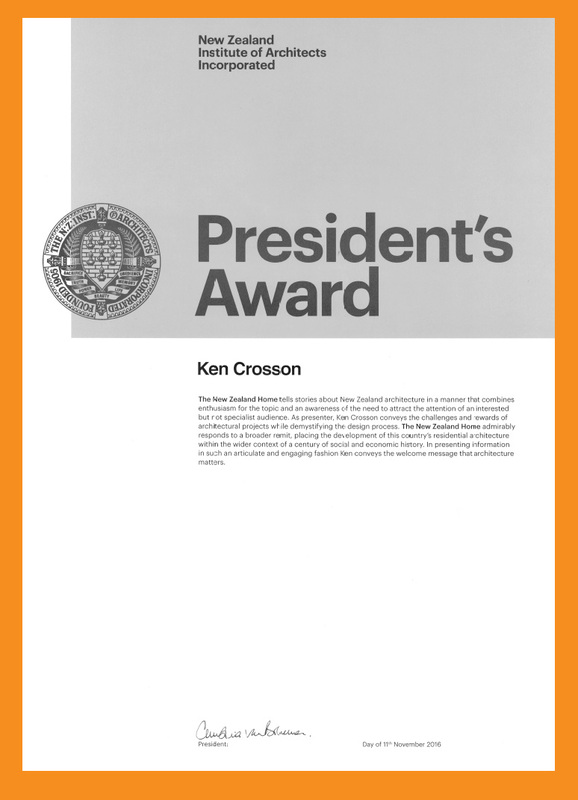 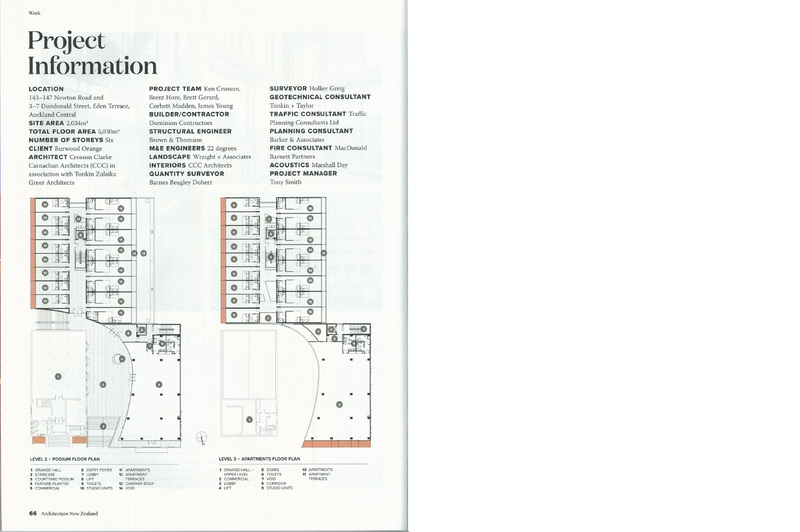 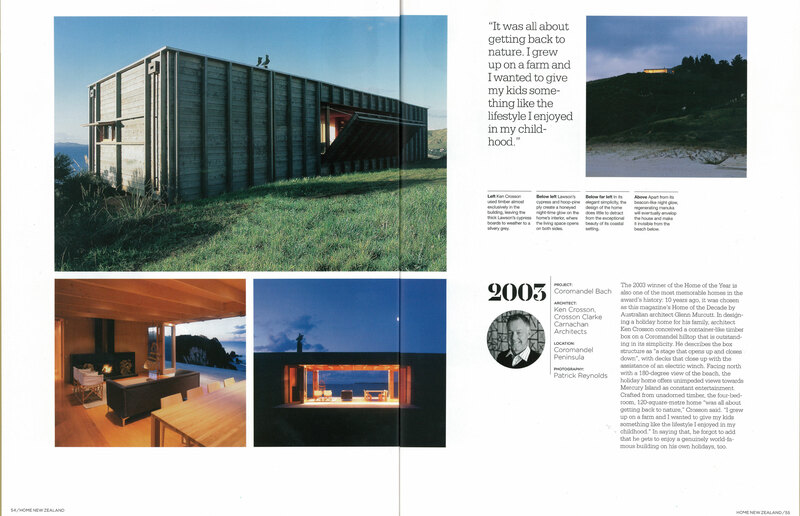 Ken Crosson was chosen as one of the top 100 architects in the world in the prestigious KIA ‘100 Architects of the Year 2012’ exhibition in Korea. 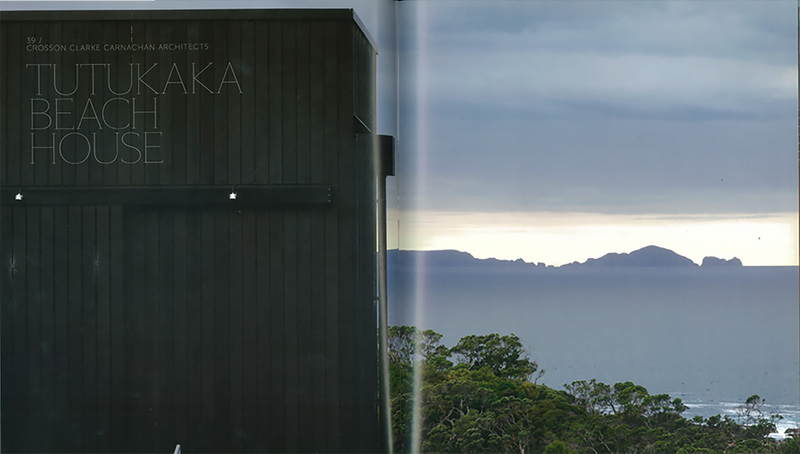 Our Hut on Sleds was displayed at the exhibition which saw over 30 thousand visitors over five days! 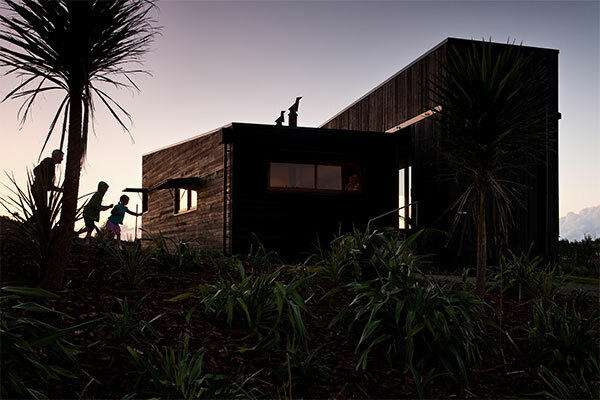 The Hut on Sleds does it again! 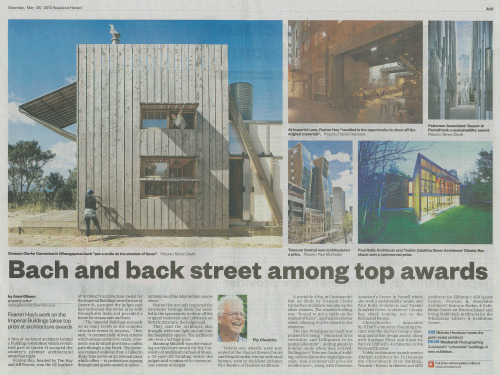 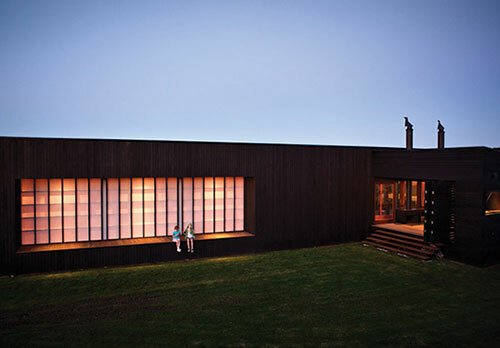 It gained Highly Commended for Residential Architecture Excellence and won the award for the Best Exterior Innovation at the 2012 Timber Design Awards. 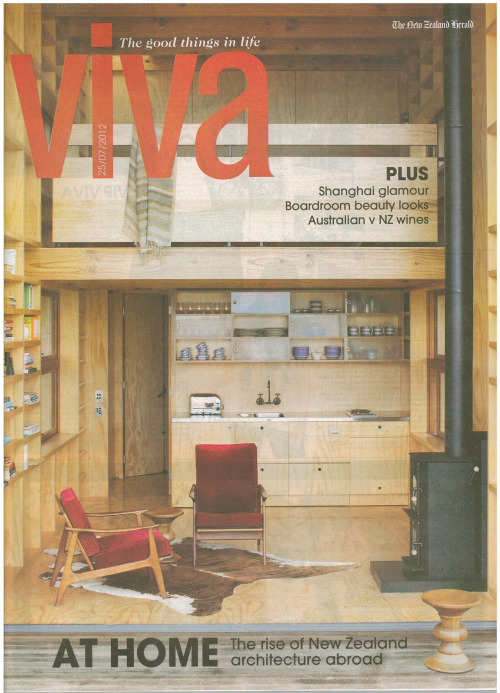 Our Hut on Sleds on the cover of last week’s Viva magazine! 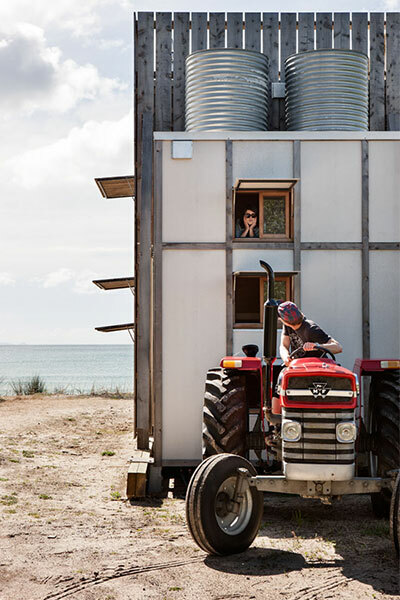 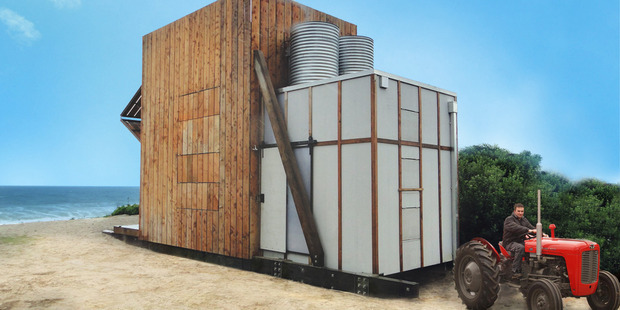 The Hut on Sleds has continued to impress judges around the globe. 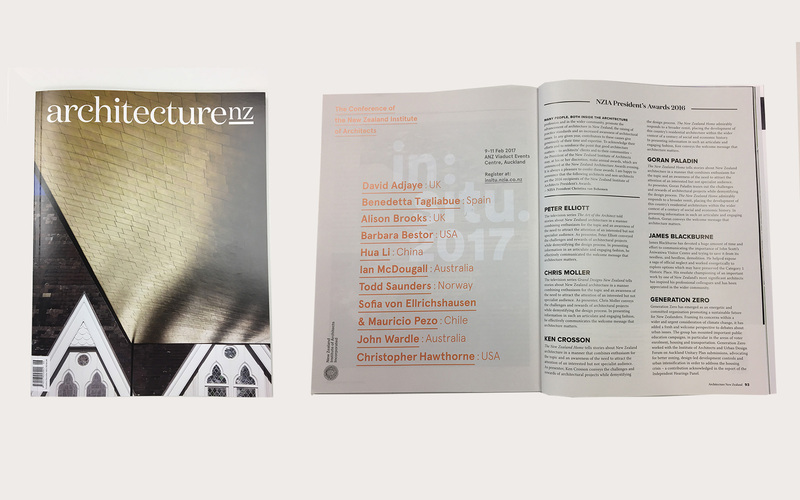 The project has joined the elite of the architectural world again and made the shortlist for the 012 World Architecture Festival Awards. 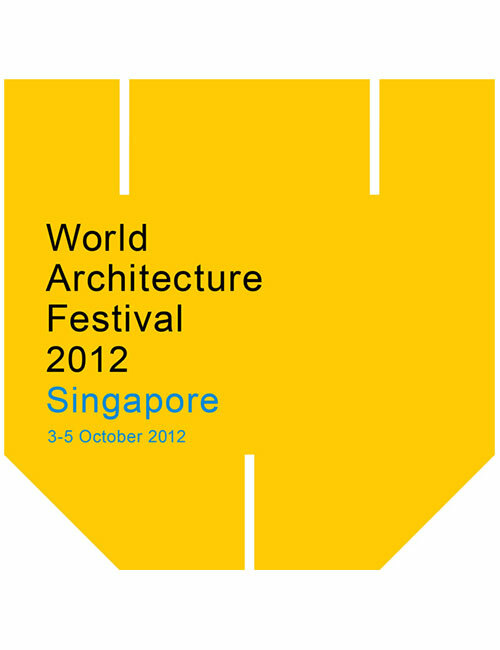 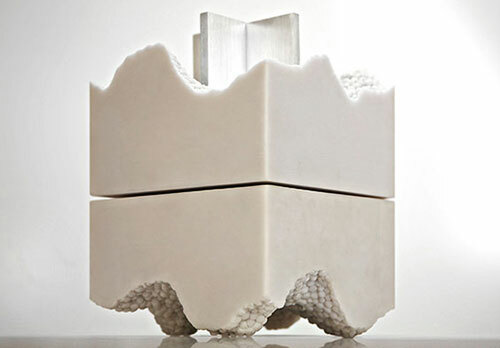 A presentation will be made to an international jury in October in Singapore. 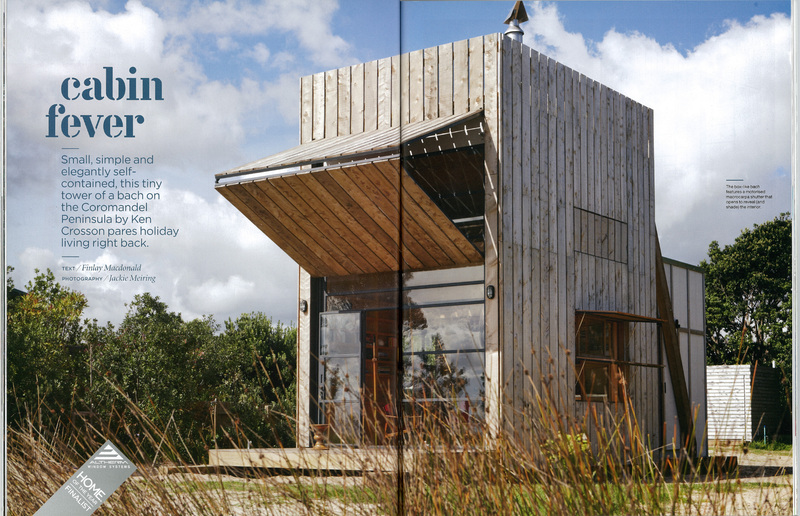 Our Hut on Sleds house has made the shortlist for Residential Architecture Excellence and the Sustainability Award in the 2012 Timber Design Awards! 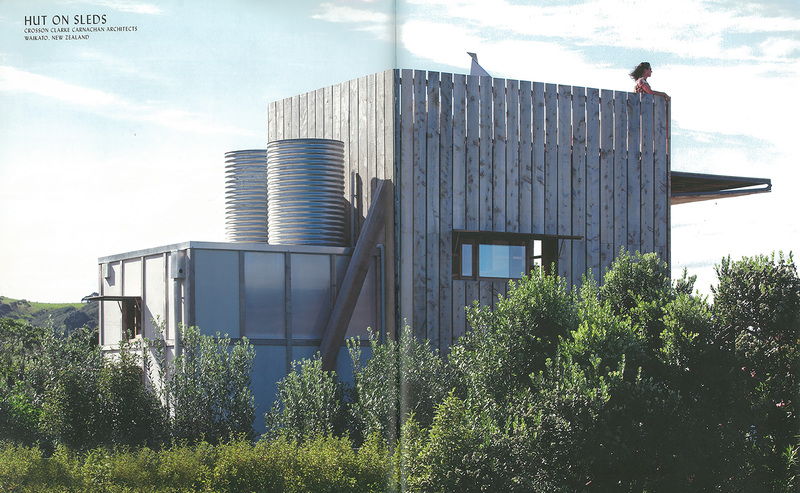 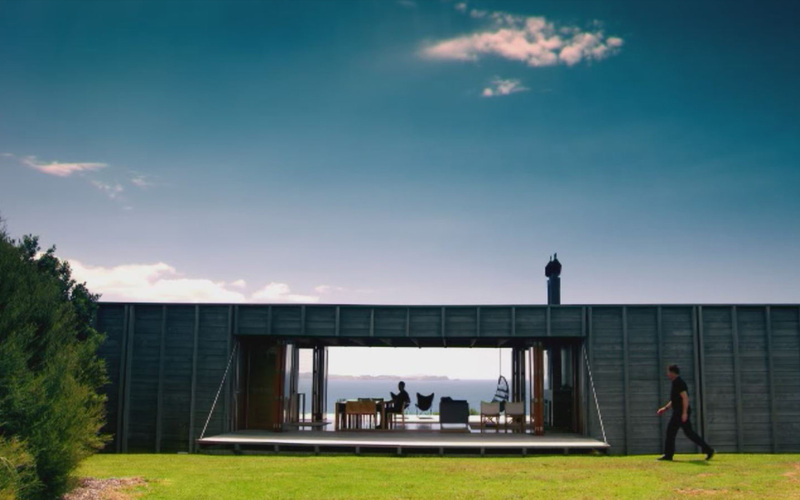 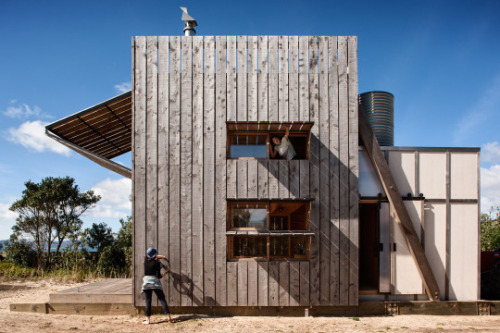 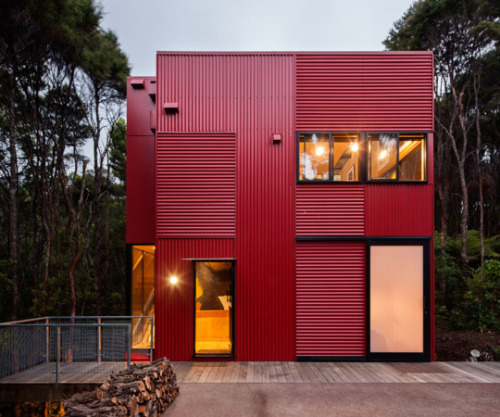 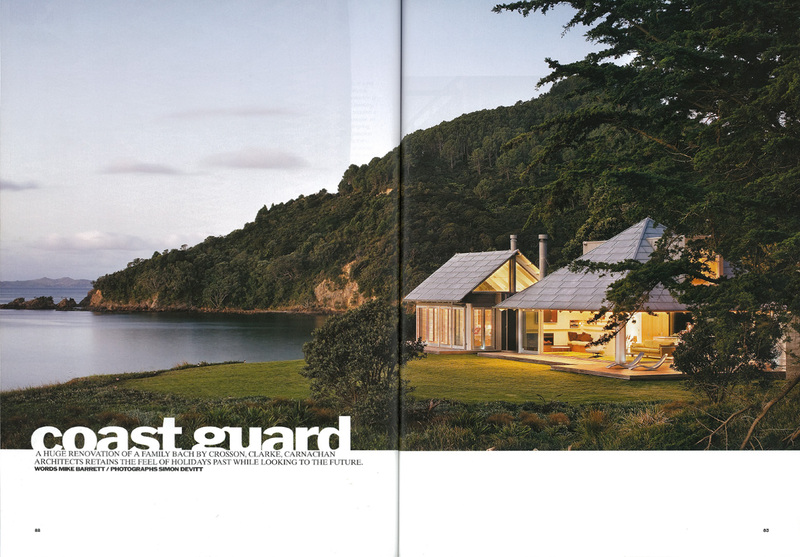 Our Hut on Sleds house is the New Zealand Herald! 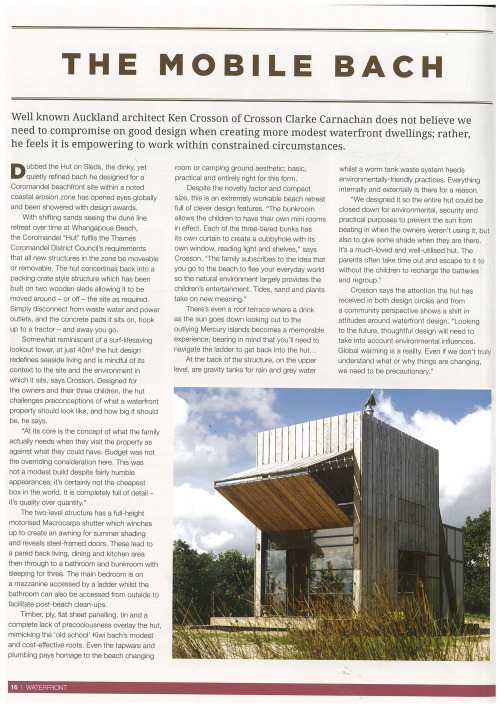 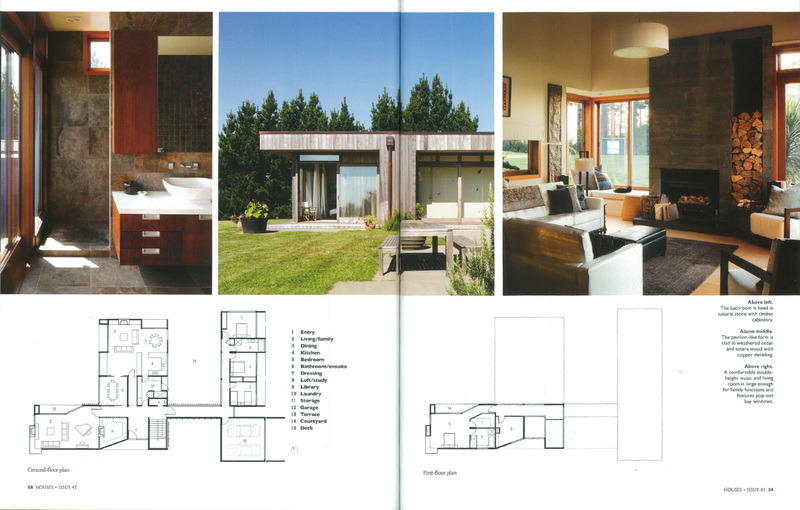 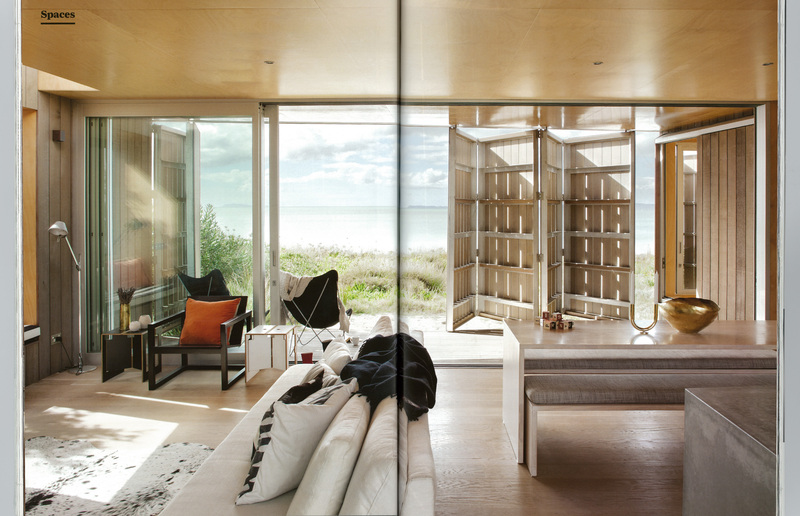 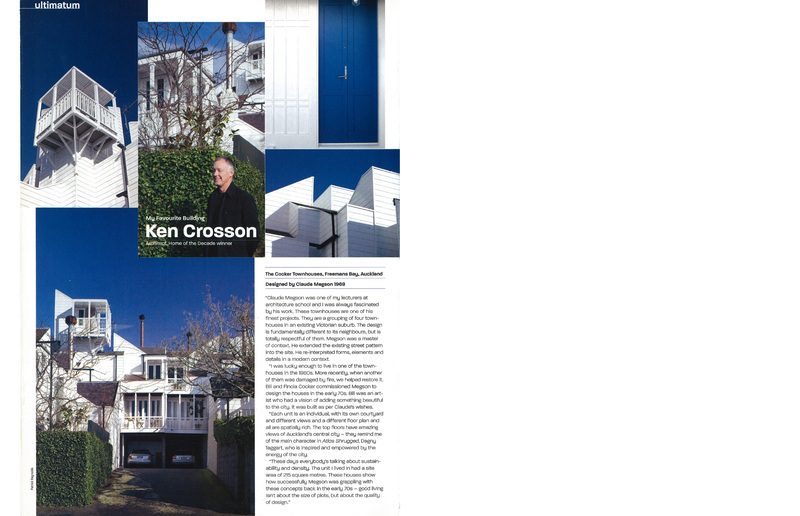 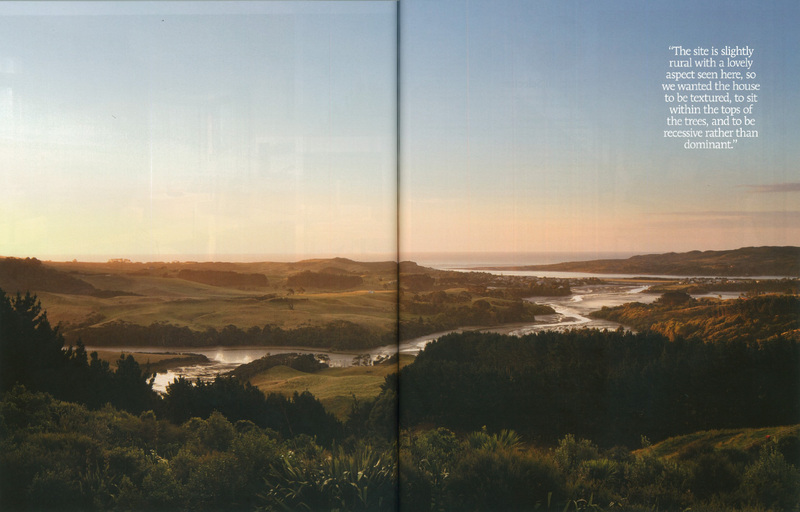 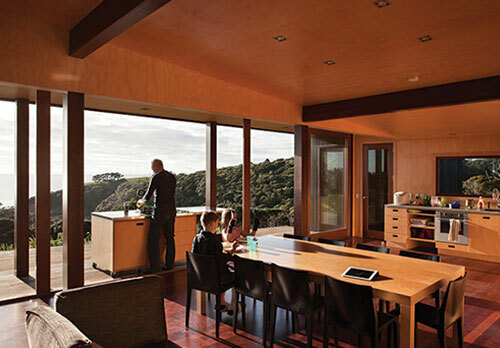 Ken Crosson is off to London today to pick up an award for the Whangapoua House! 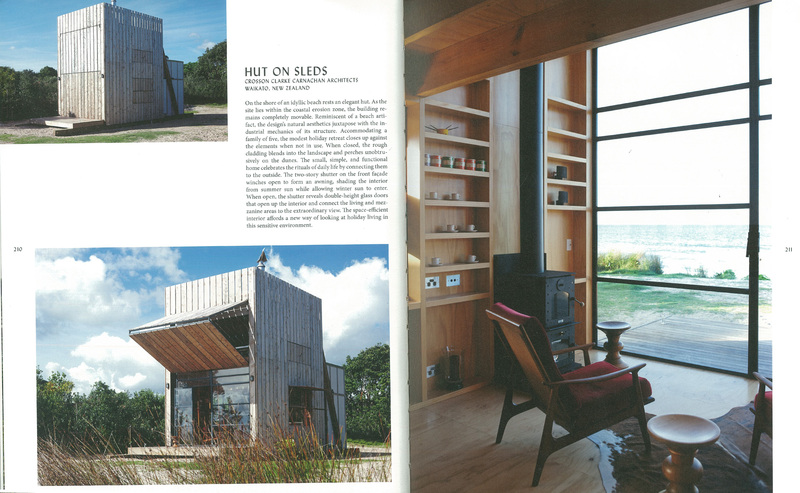 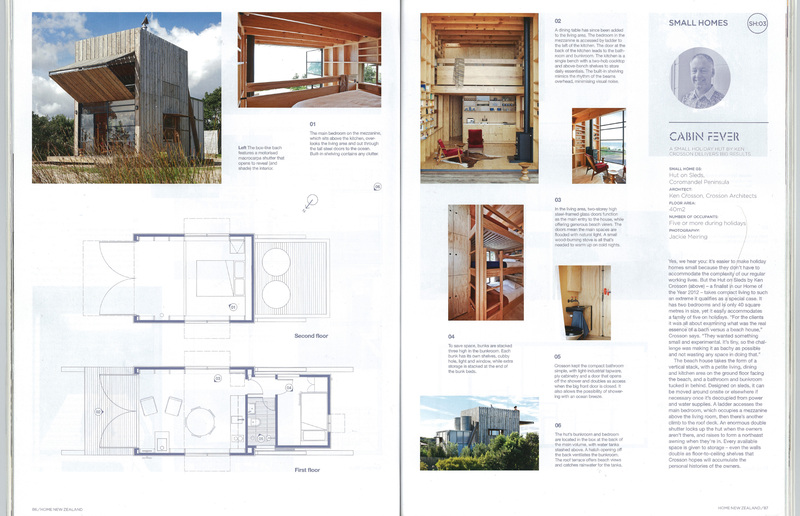 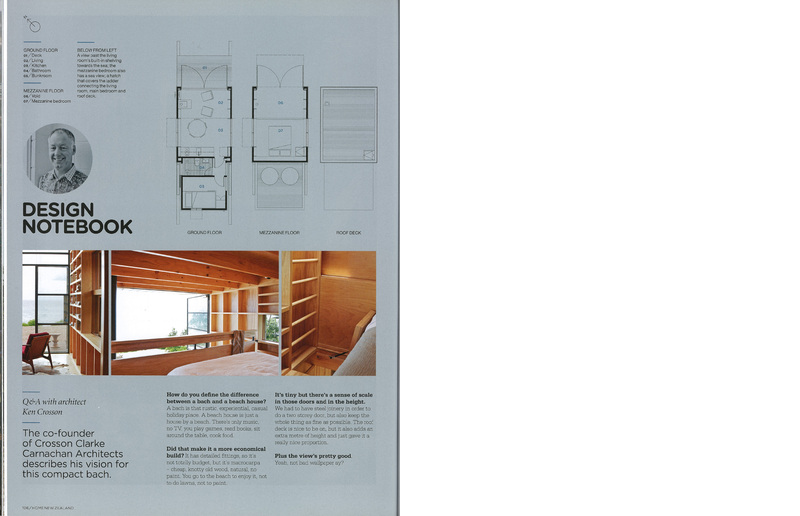 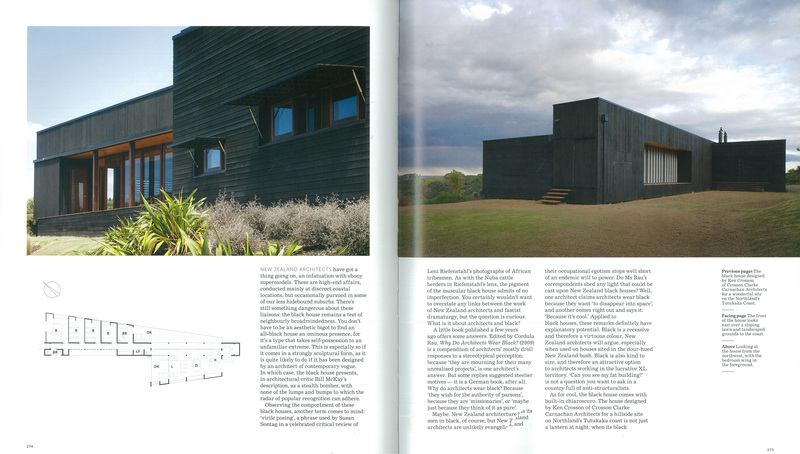 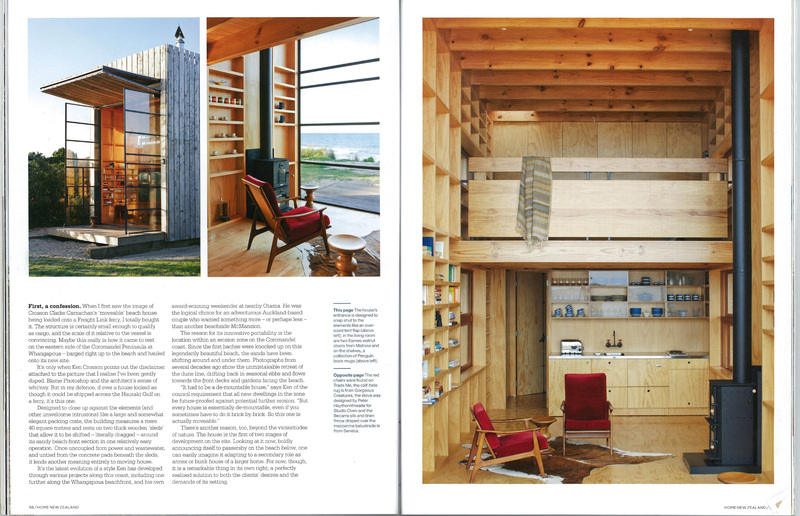 The Sled House won a commended in the Architectural Review House Awards – the prestigious international awards for the design of a one off house. 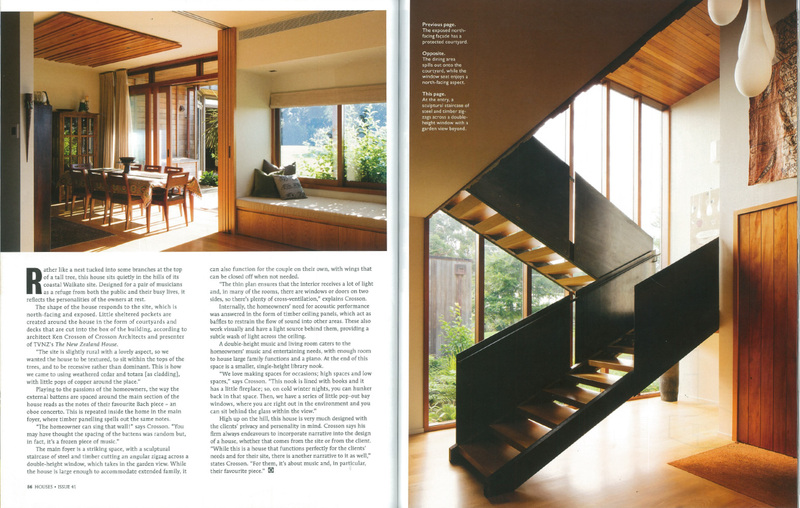 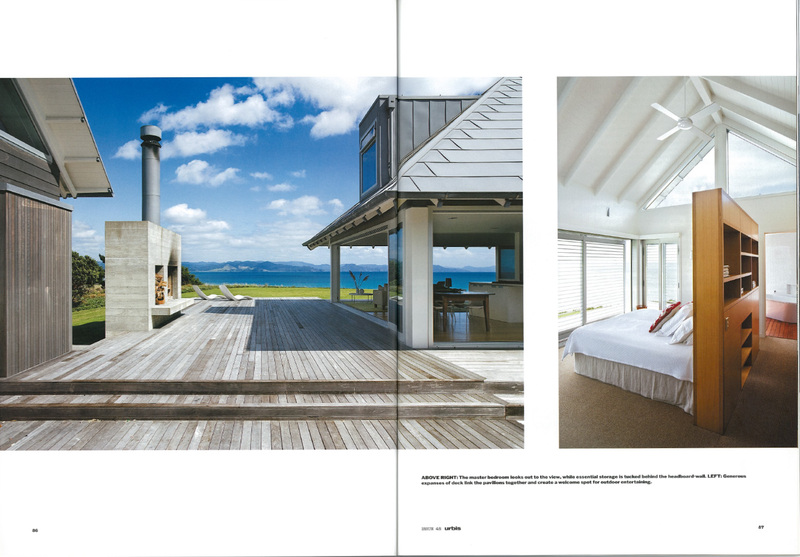 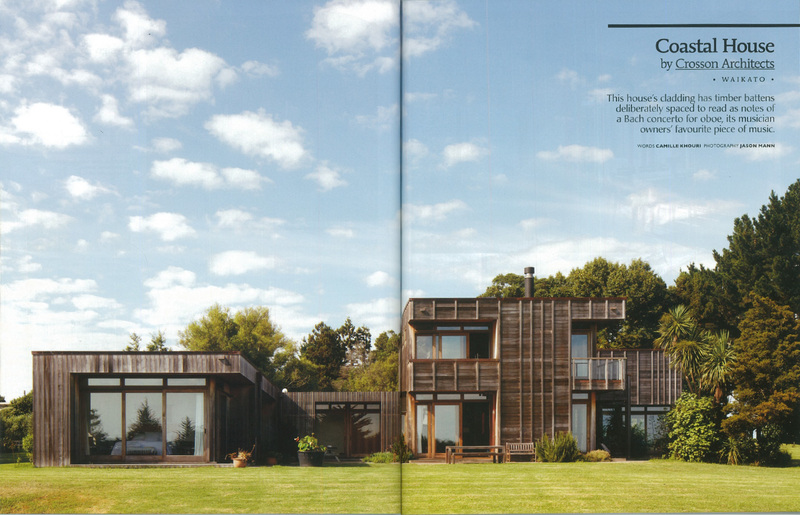 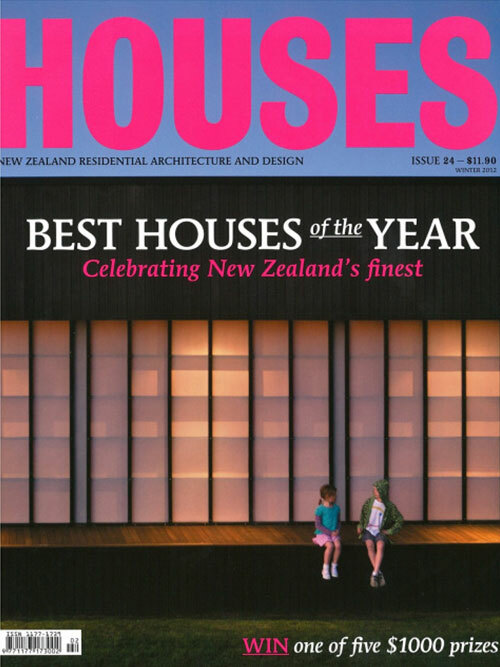 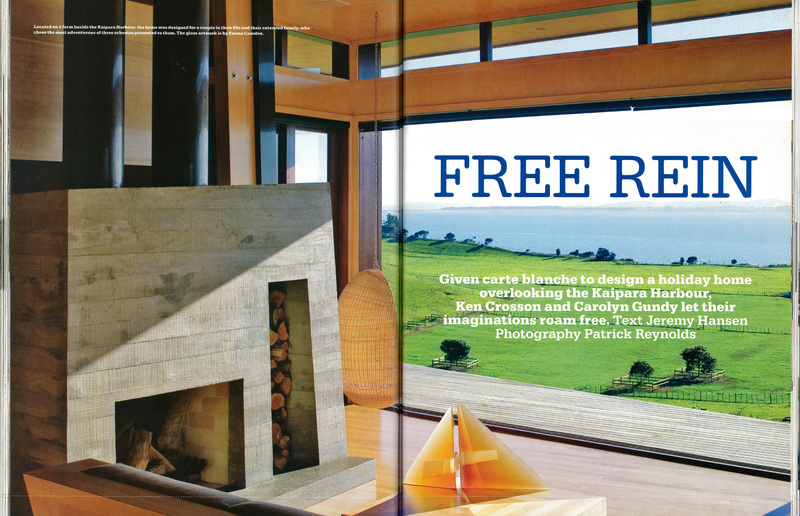 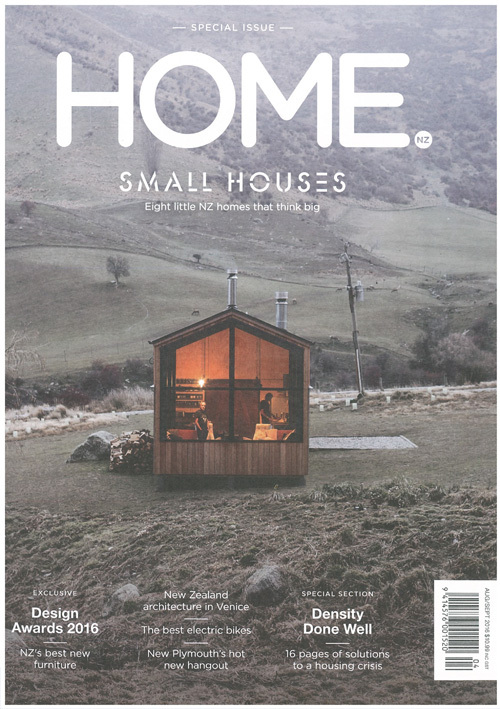 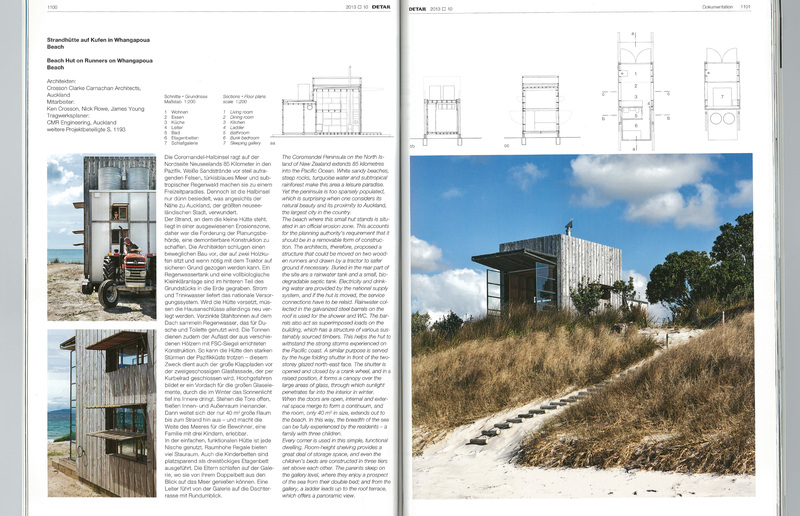 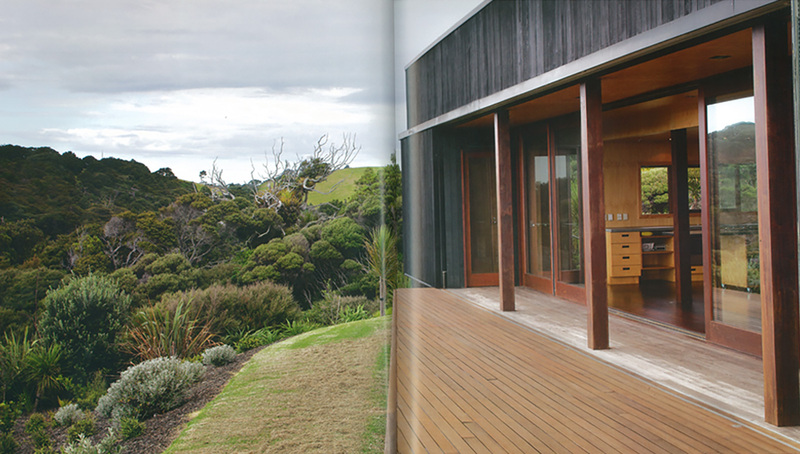 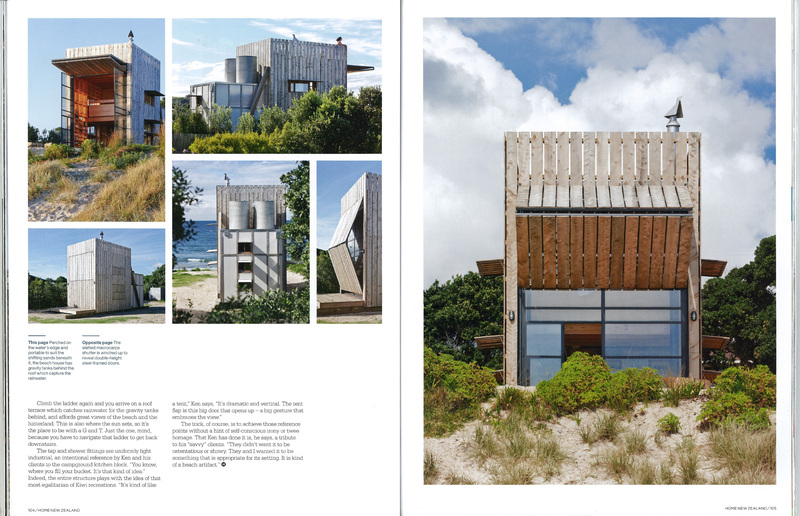 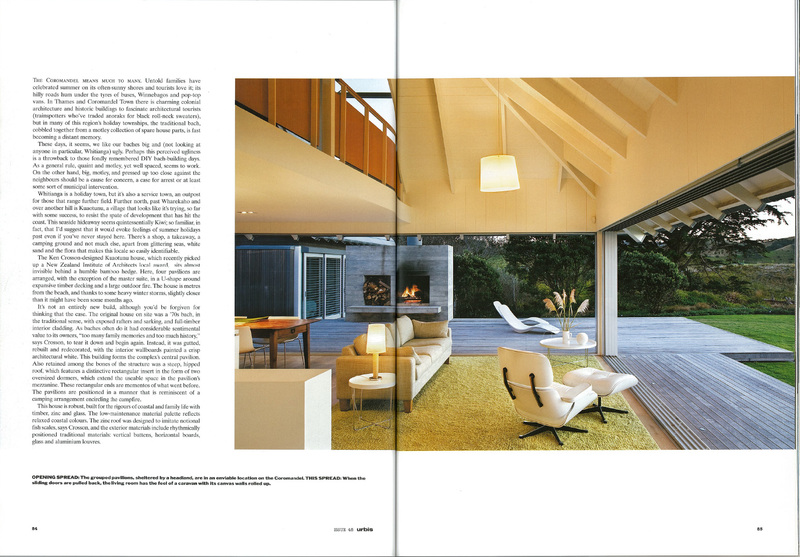 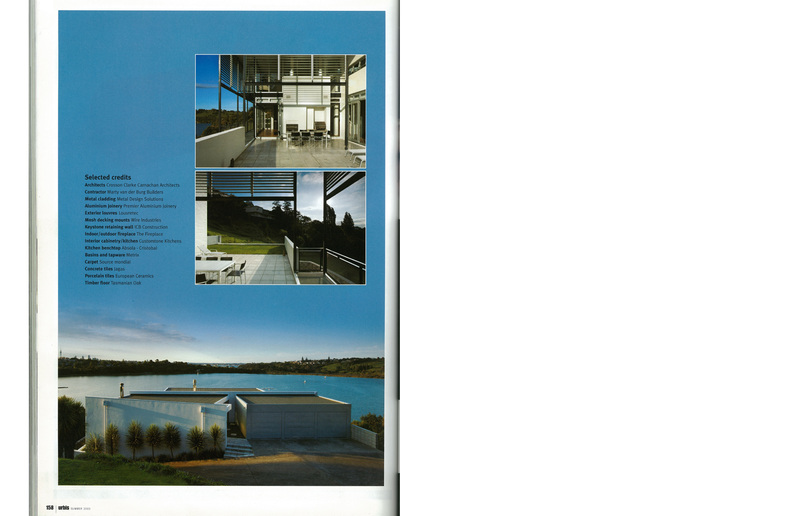 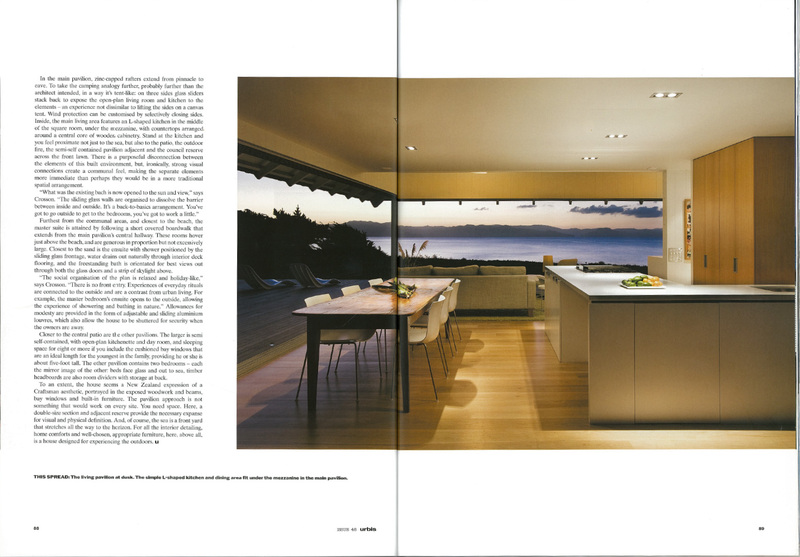 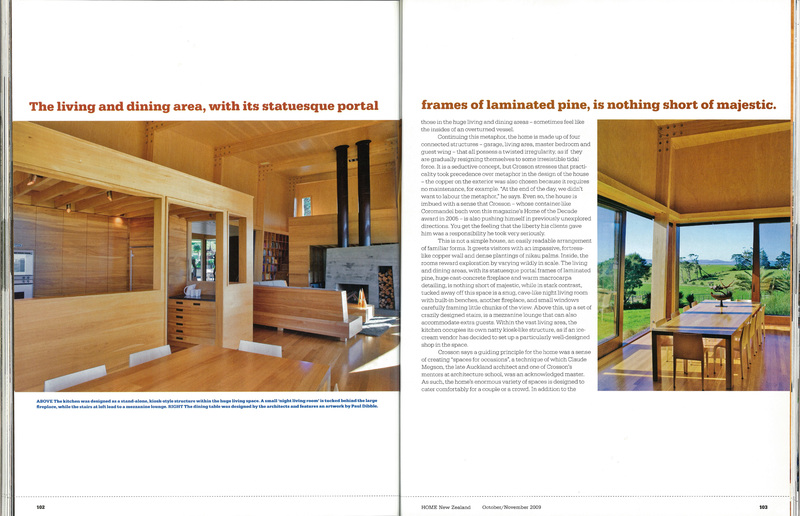 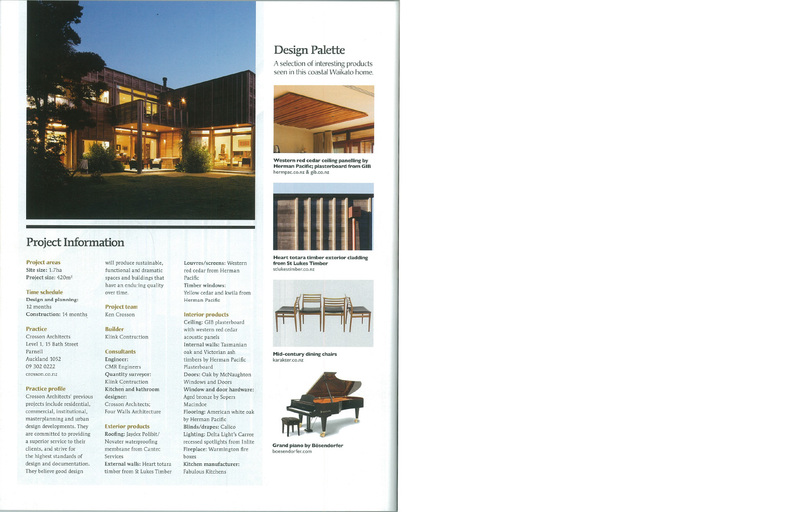 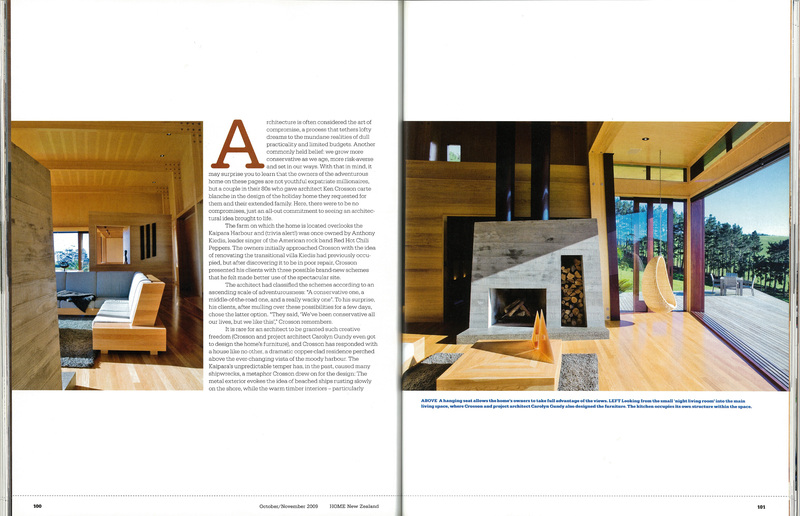 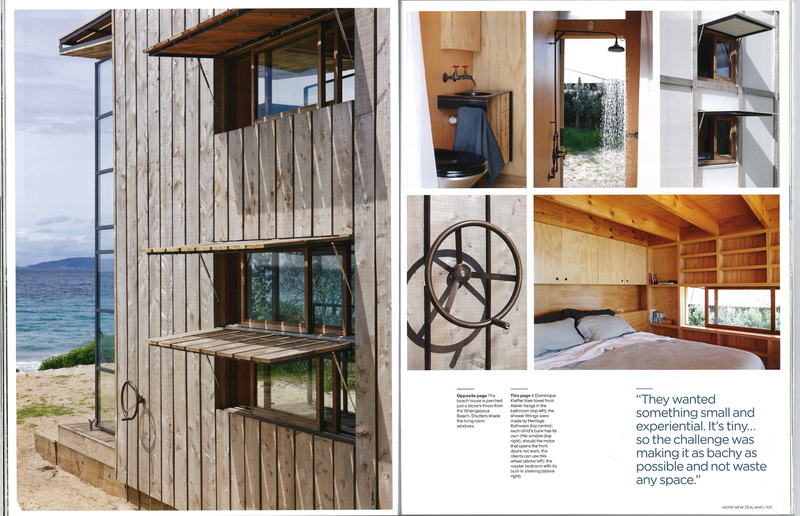 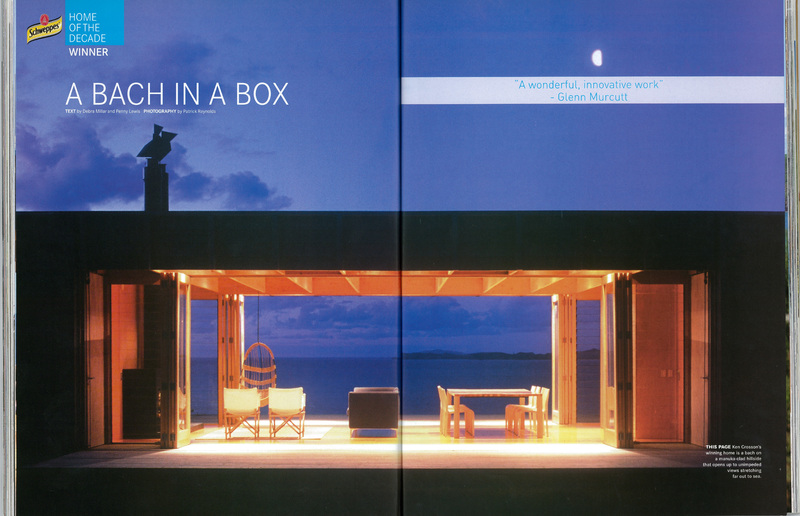 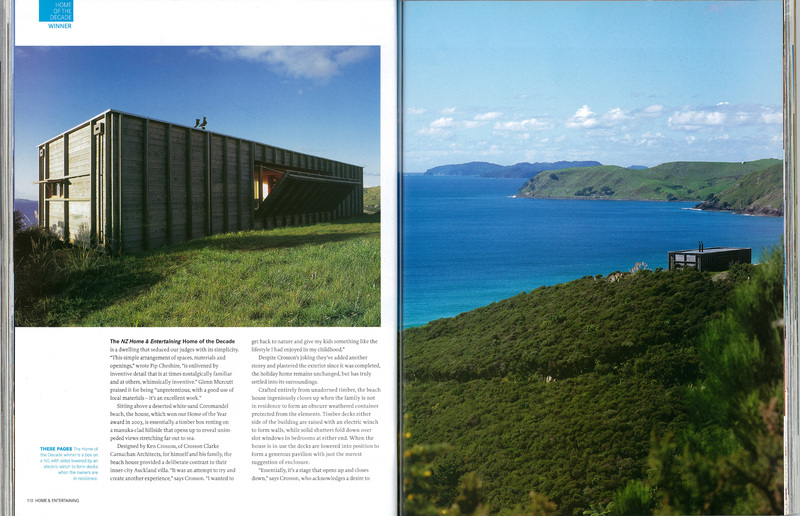 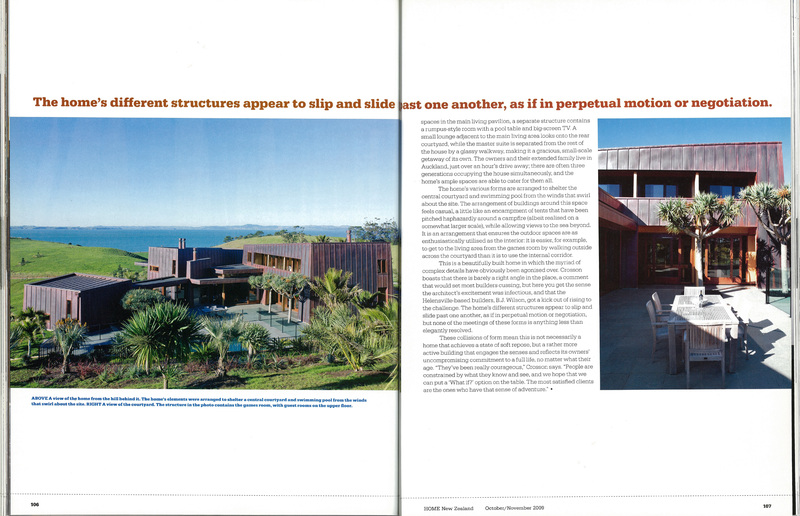 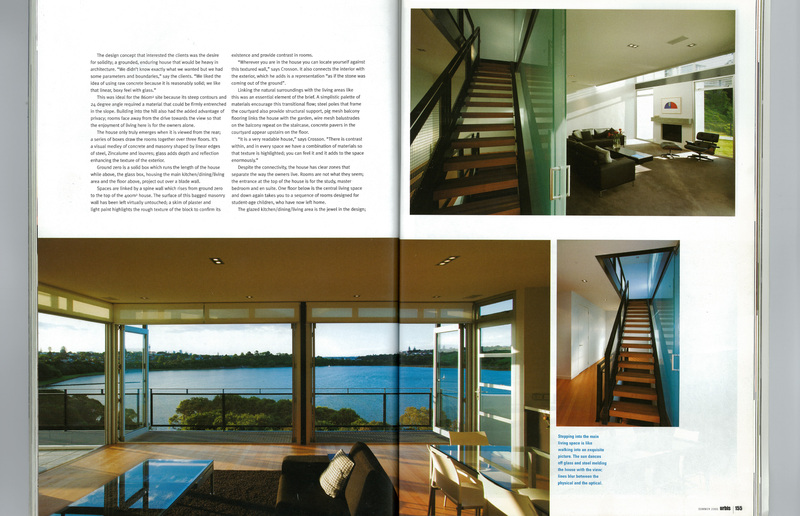 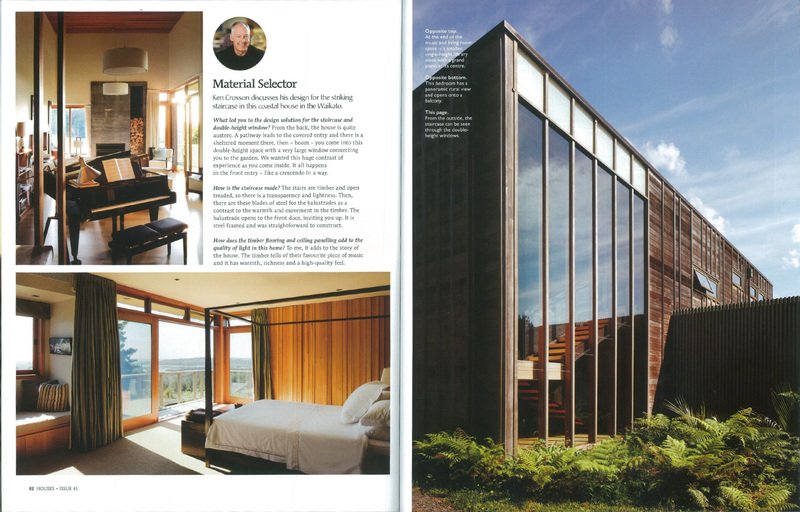 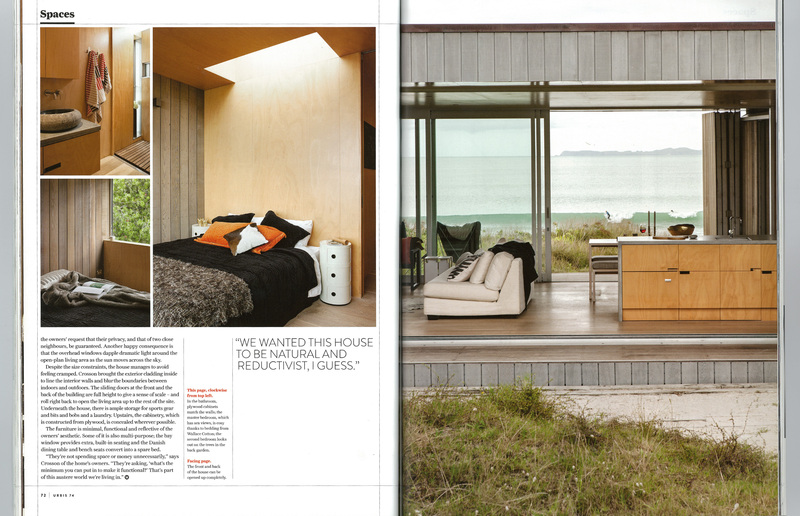 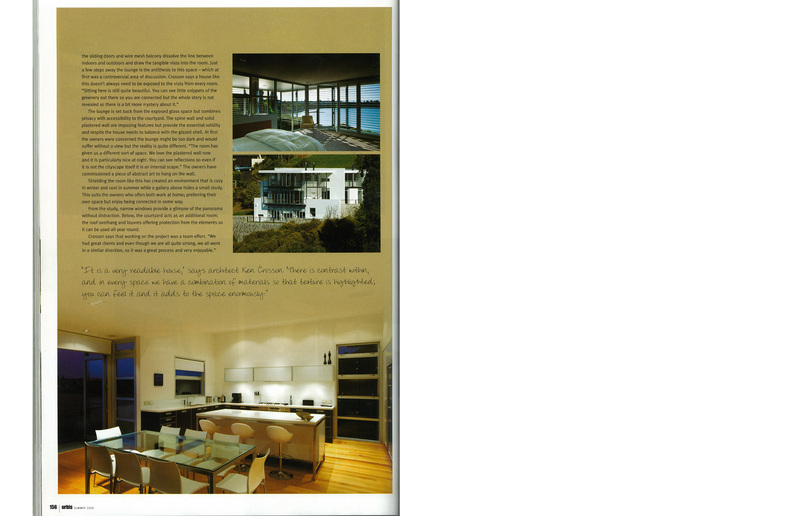 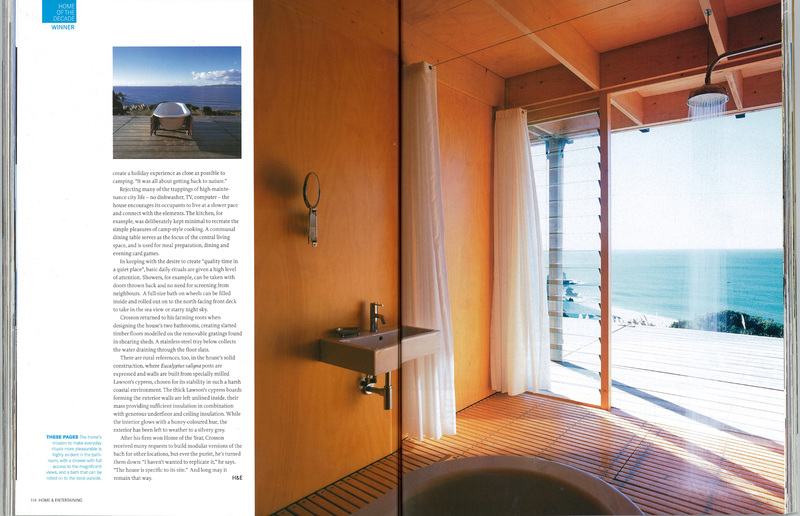 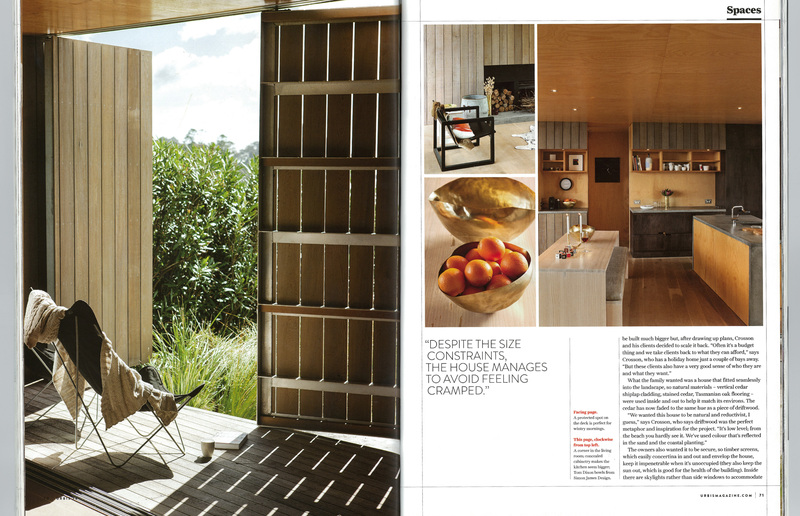 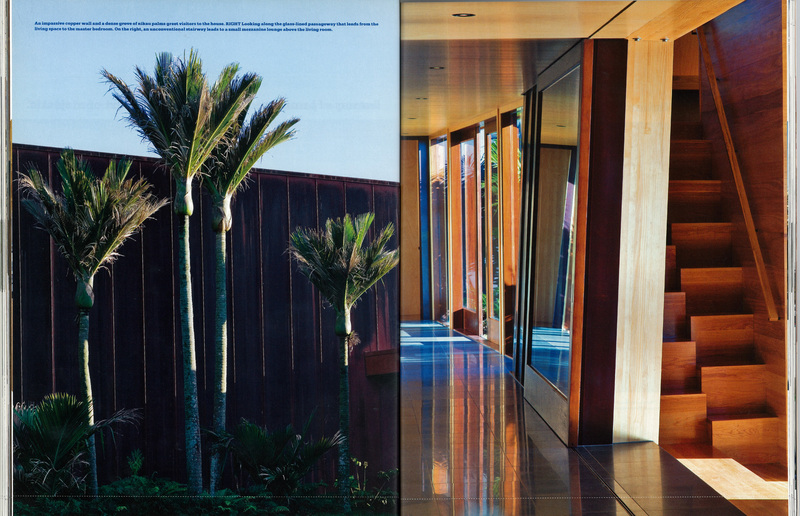 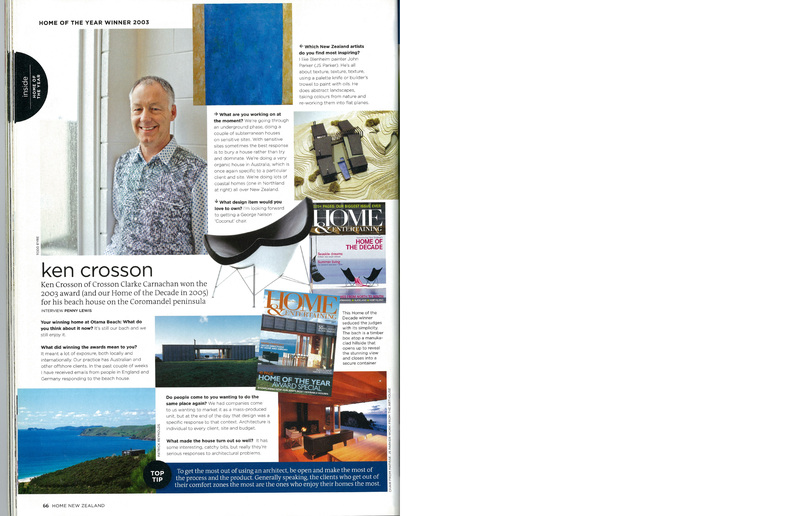 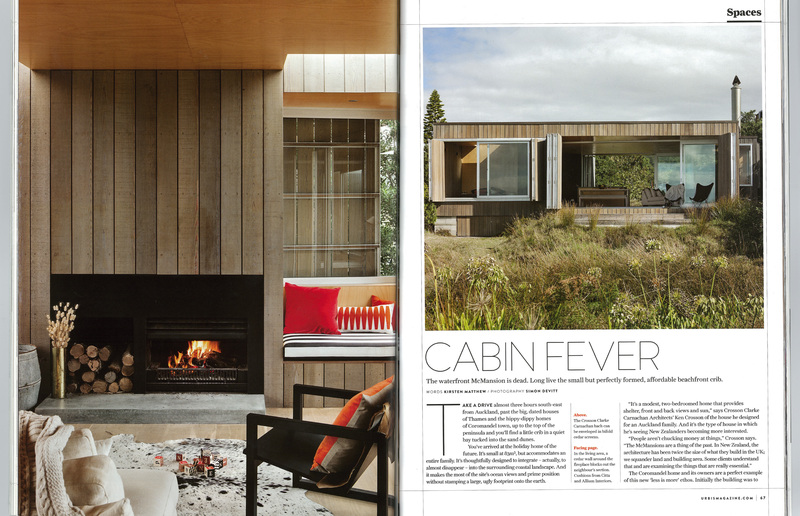 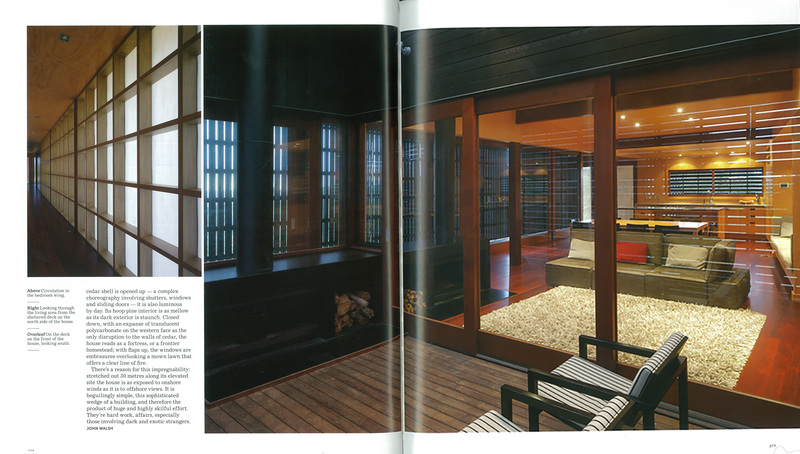 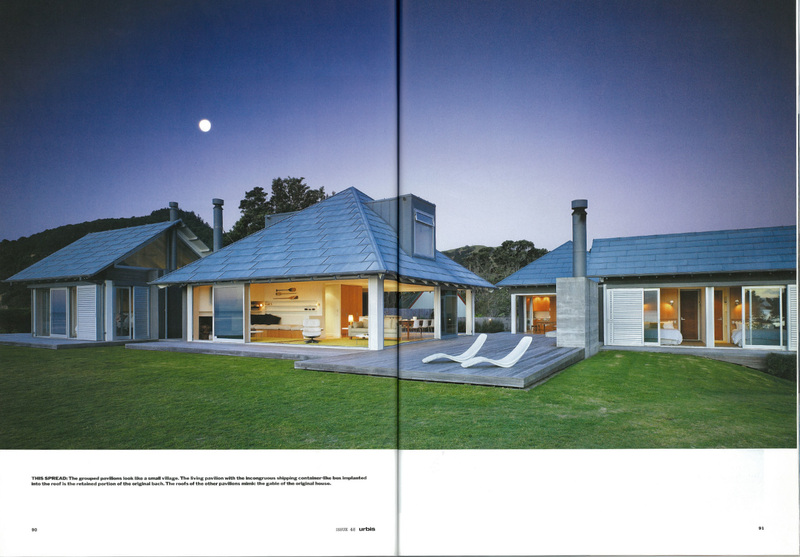 Our award winning Tutukaka house has made the front cover of Houses magazine!